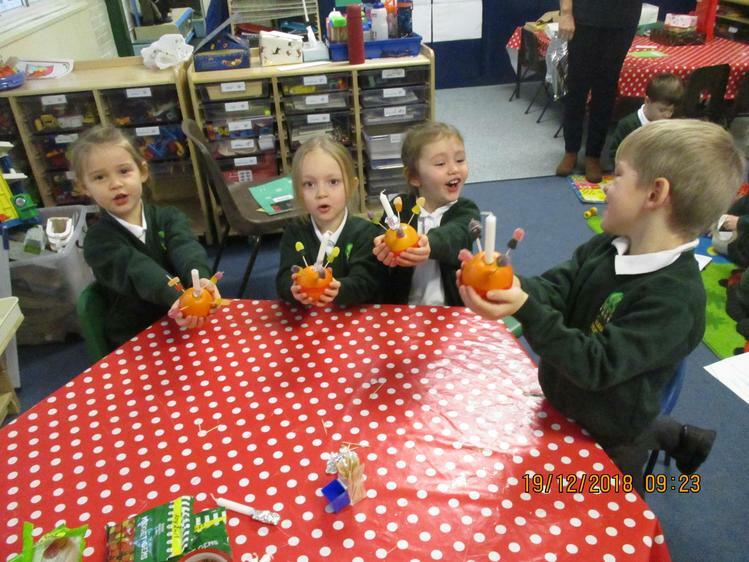 This week we have been learning about Fireworks and thinking about some of the history connected with the origins of Bonfire Night. 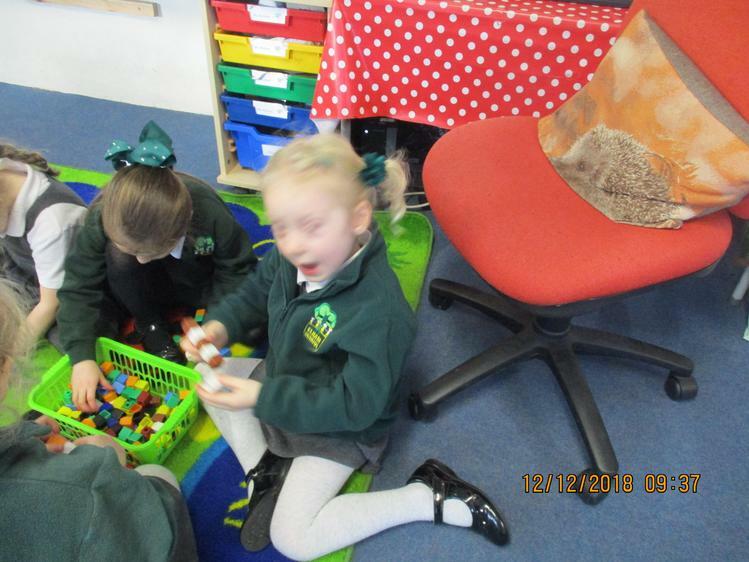 We have thought of words to describe fireworks, such as ‘pop’ and ‘bang’ and sounded them out in our writing. 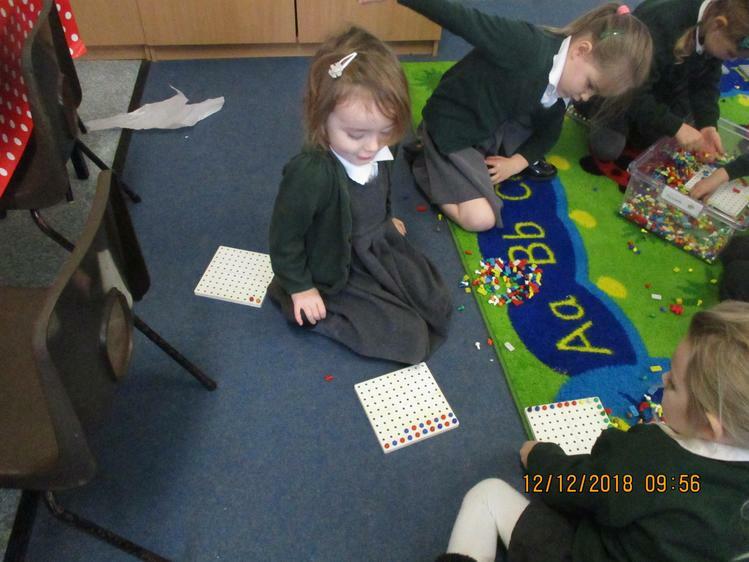 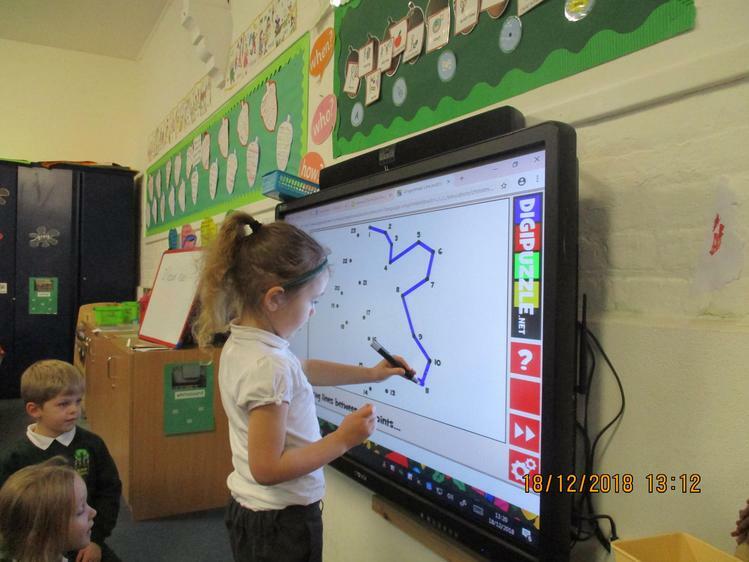 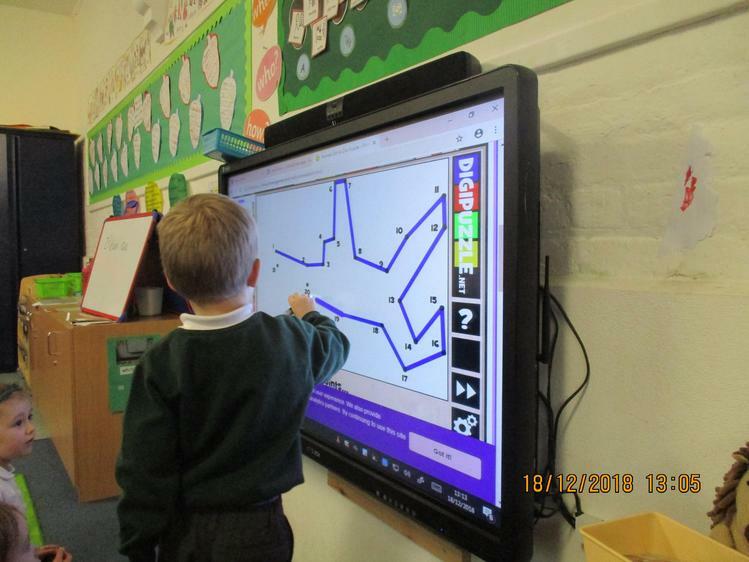 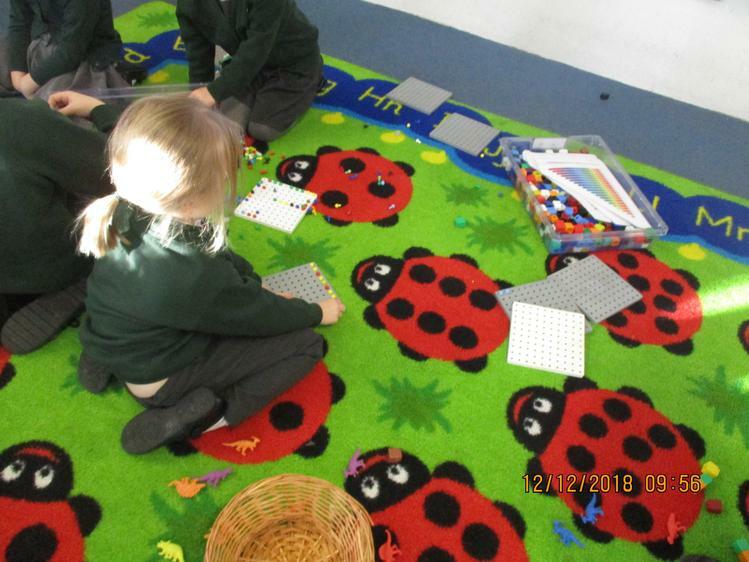 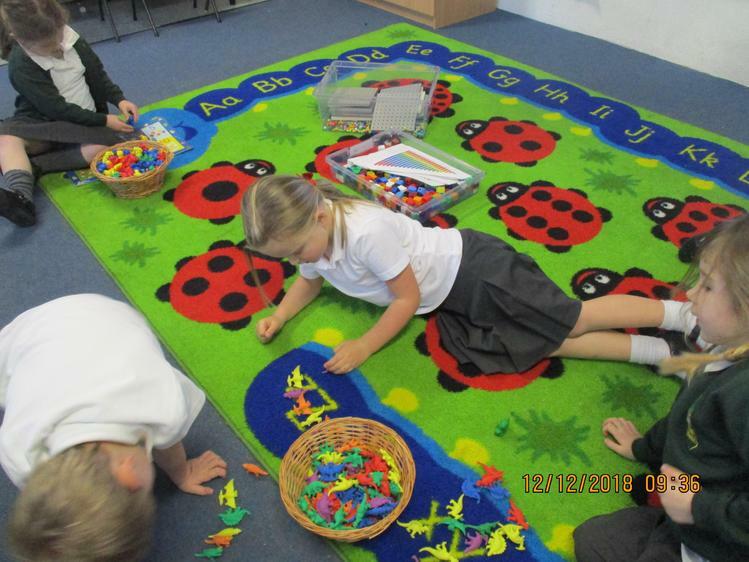 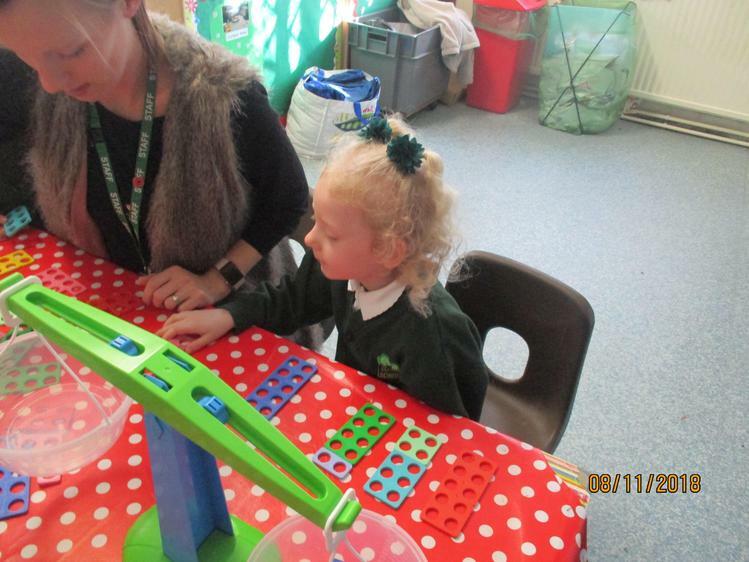 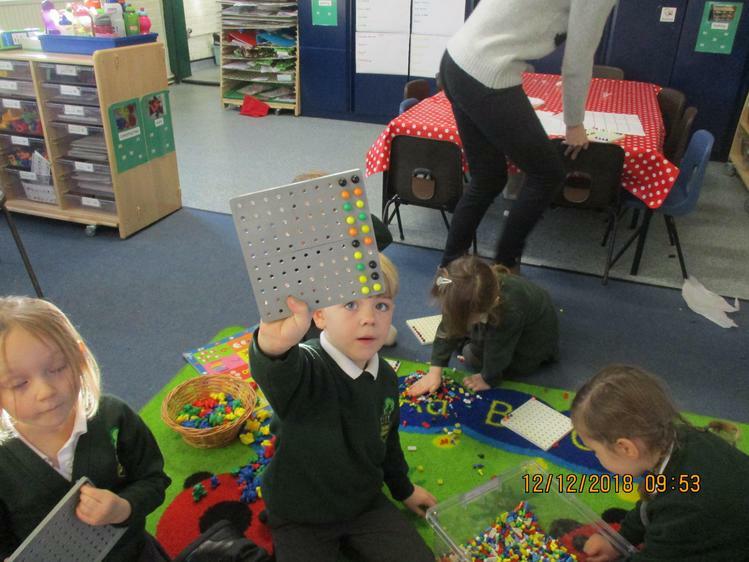 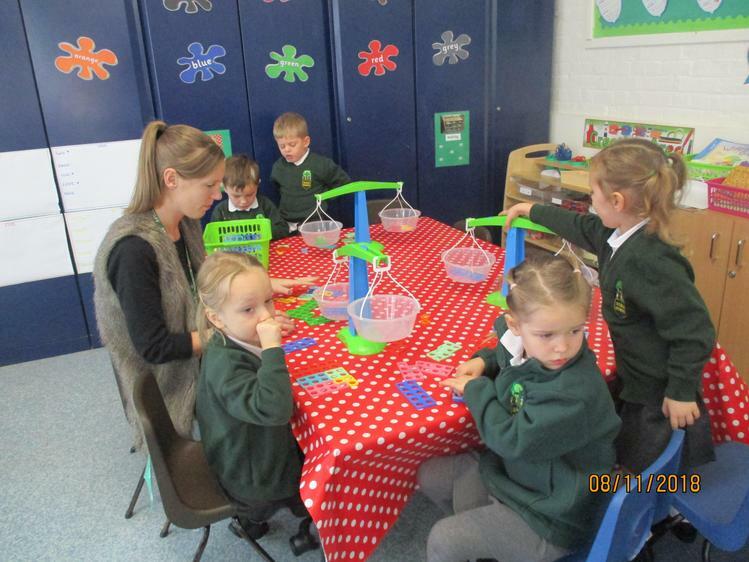 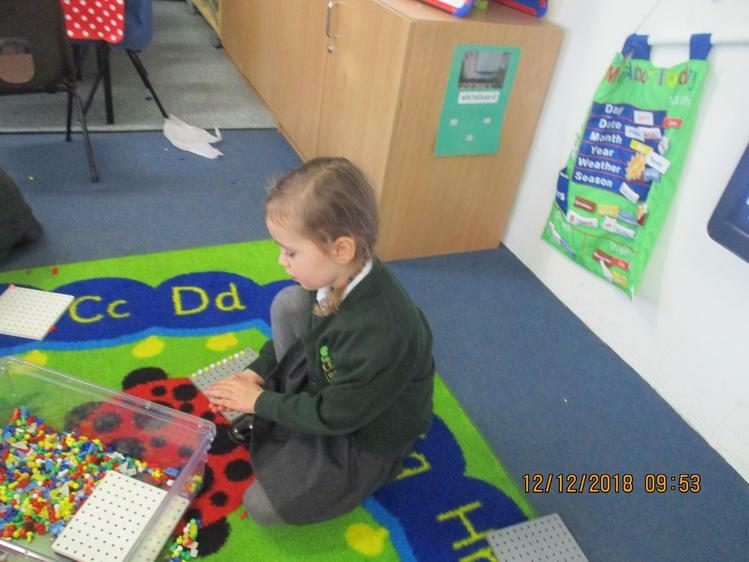 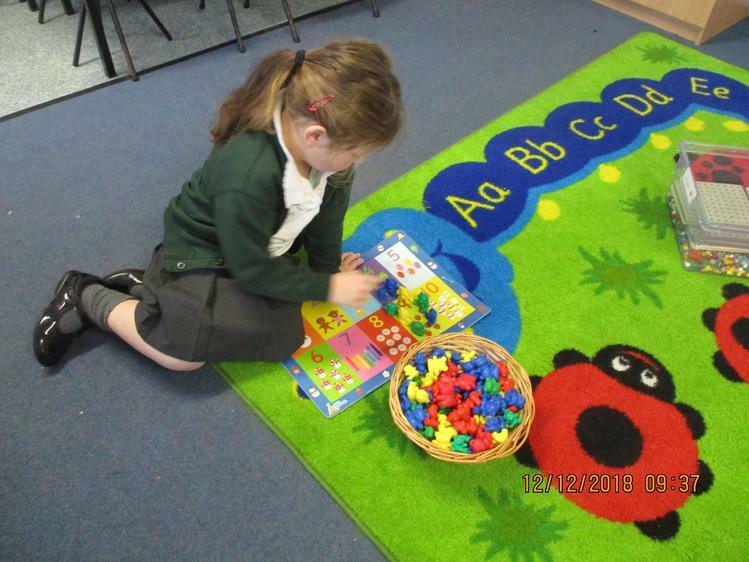 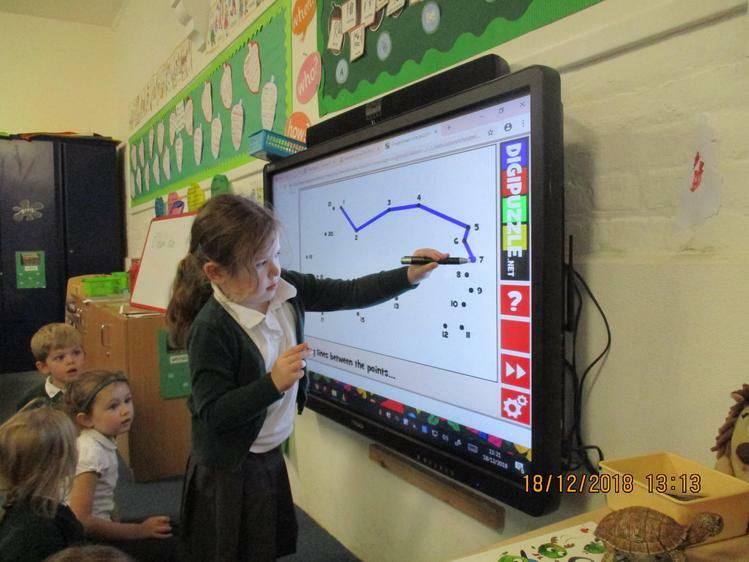 In maths we have been adding two groups together and starting to write our numbers. 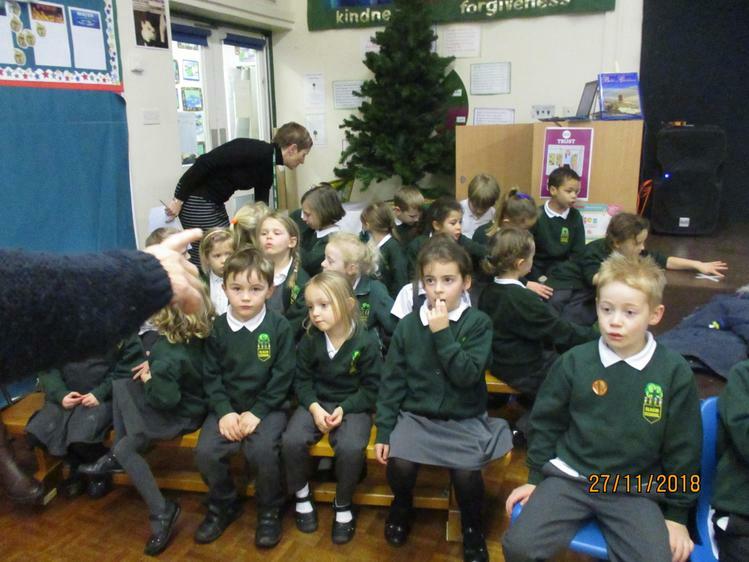 We have thought about firework safety and how to keep safe if we are going to see some fireworks. 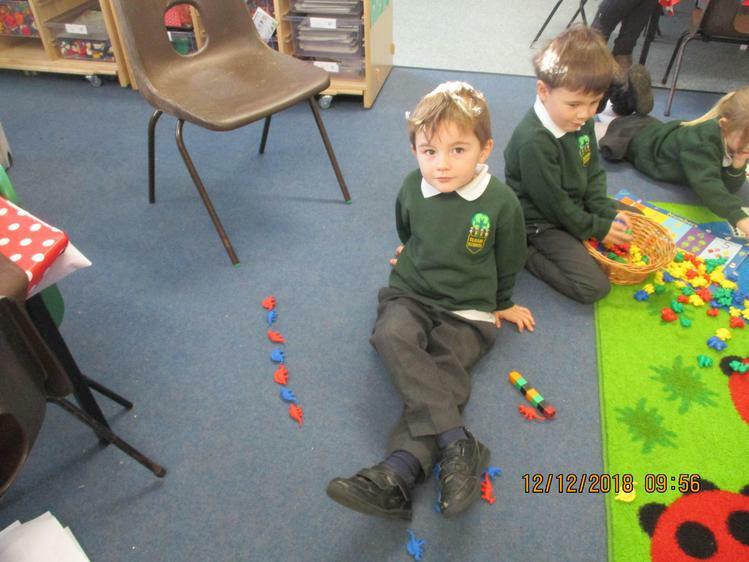 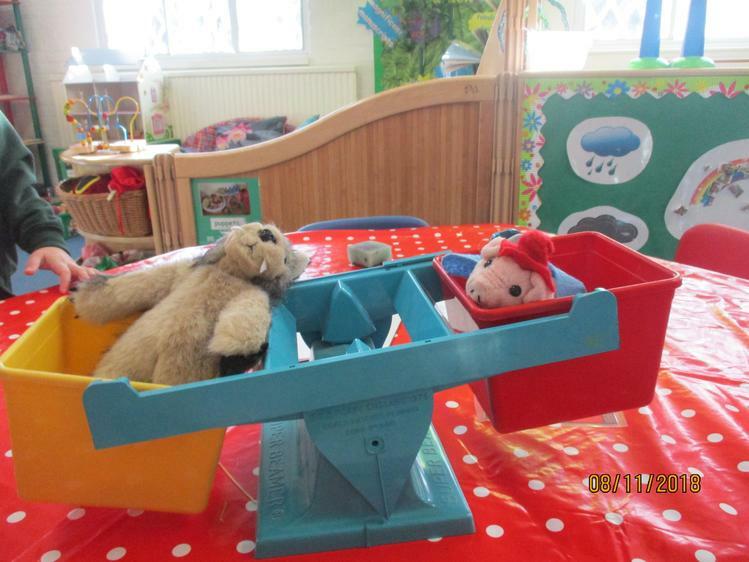 Our learning this week has been based around the Three Little Pigs. 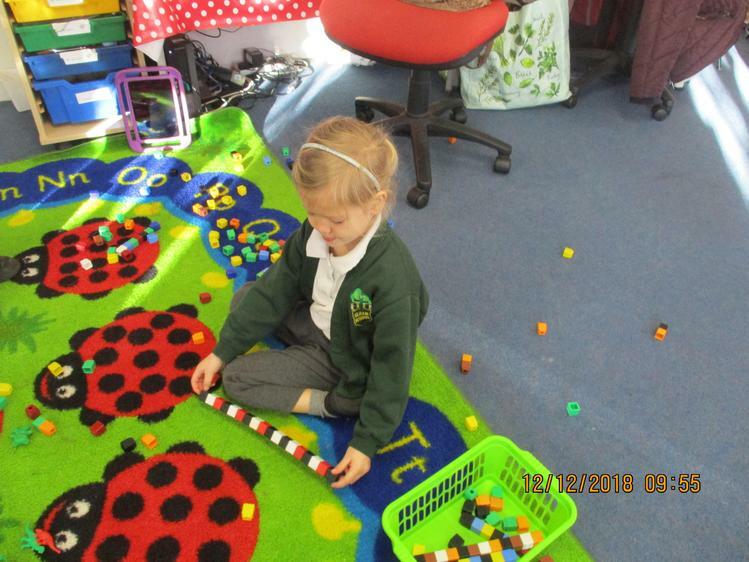 We sequenced the story and thought about weighing. 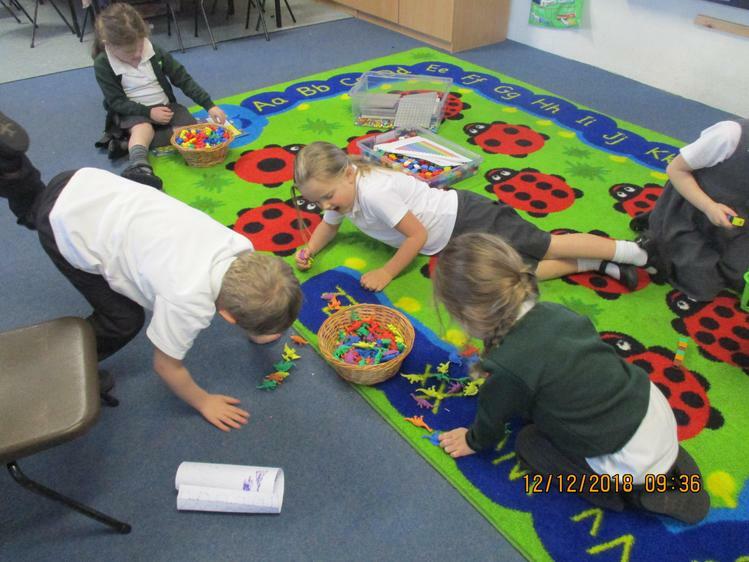 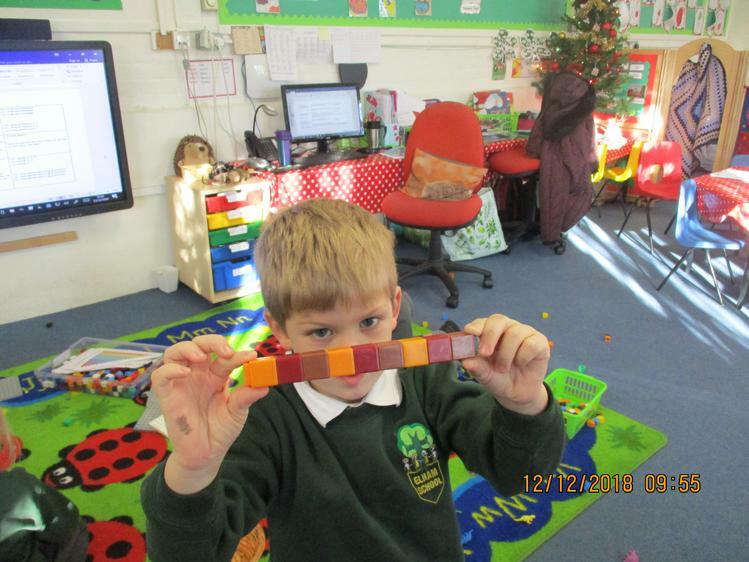 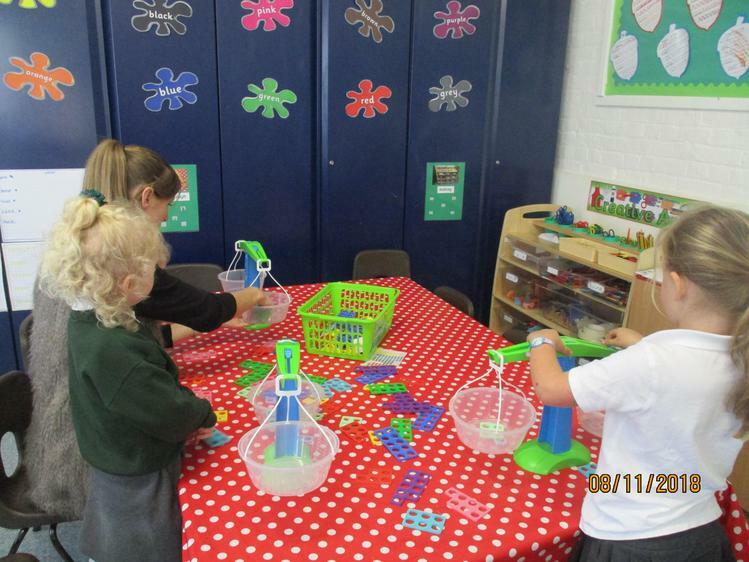 Which is heavier, bricks or straw? 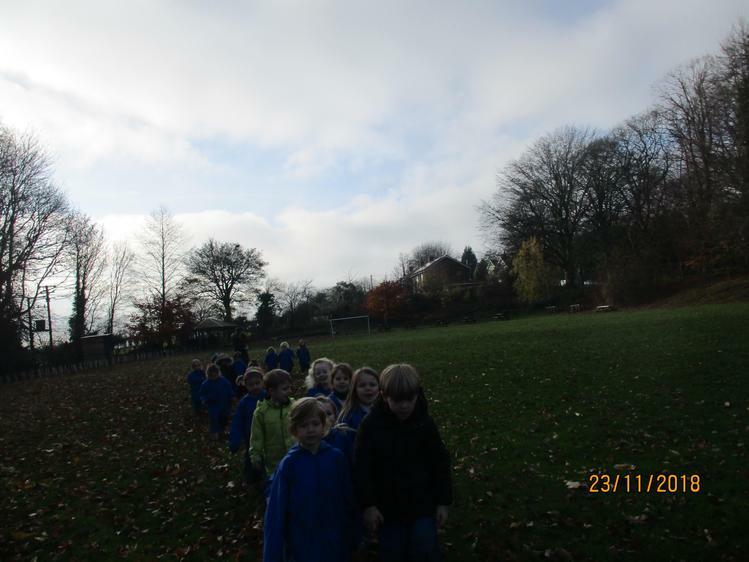 On Friday we thought about Poppy Day and what it means to us. 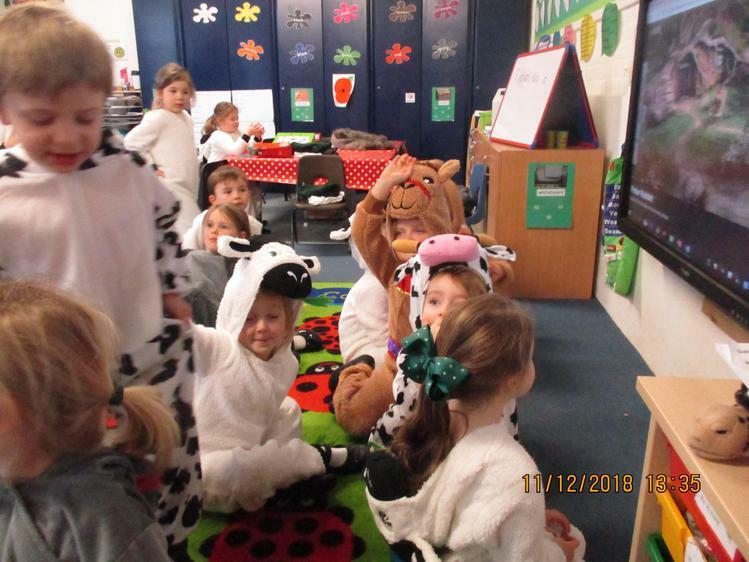 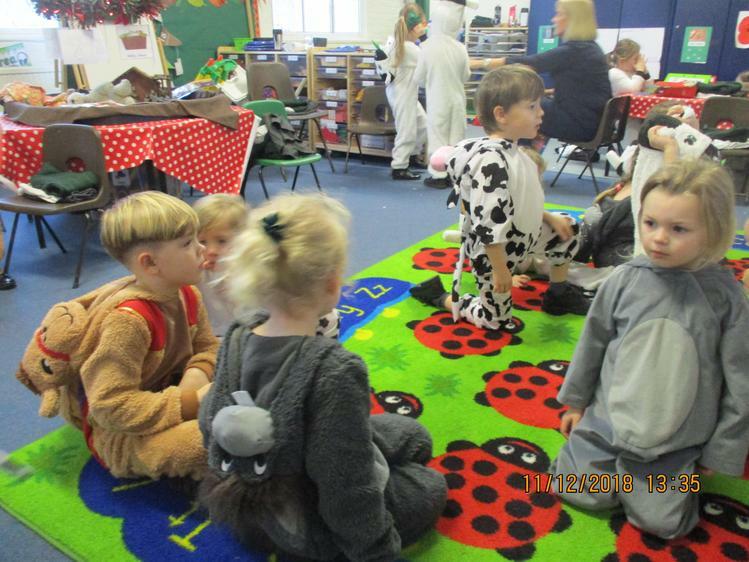 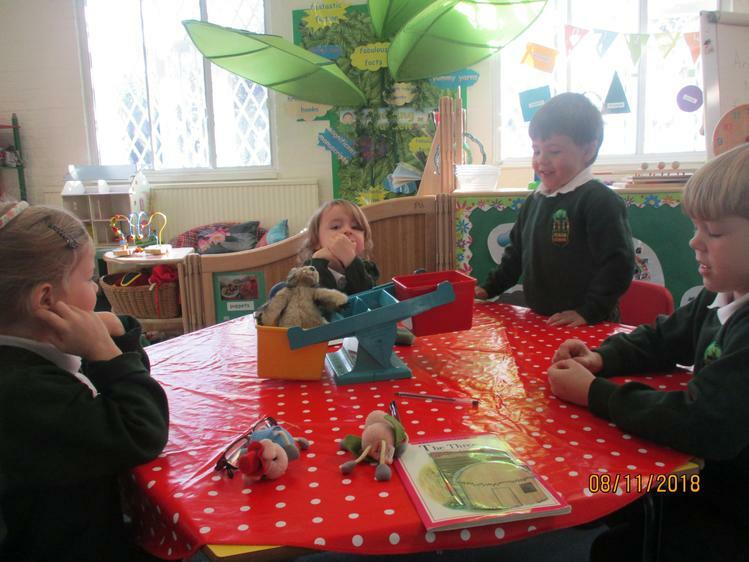 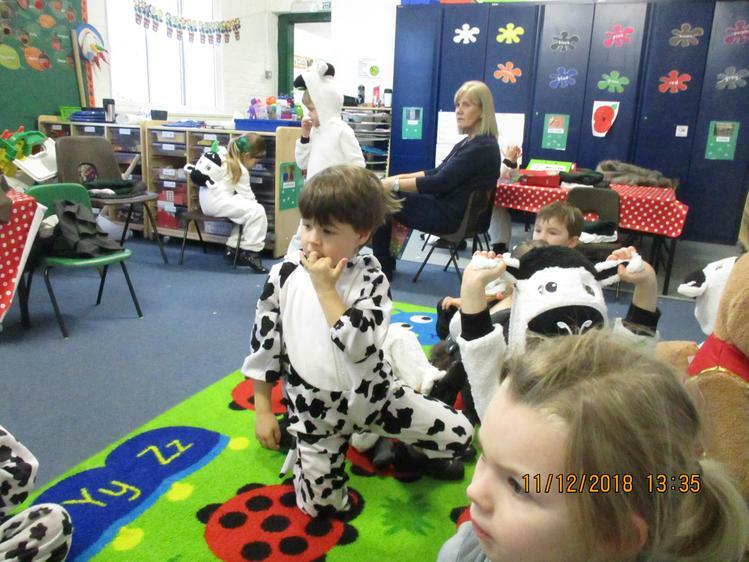 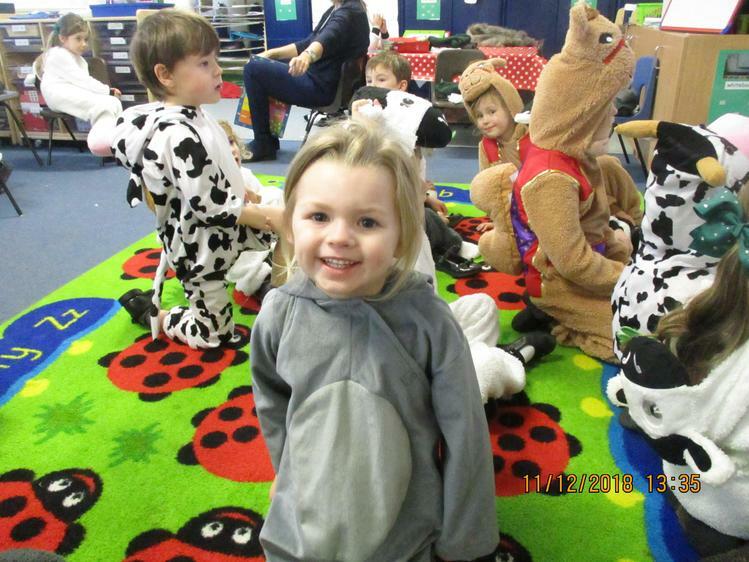 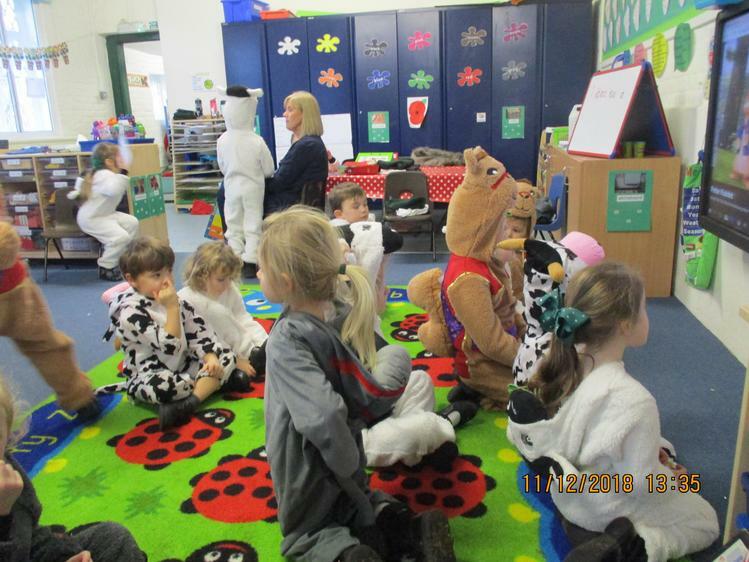 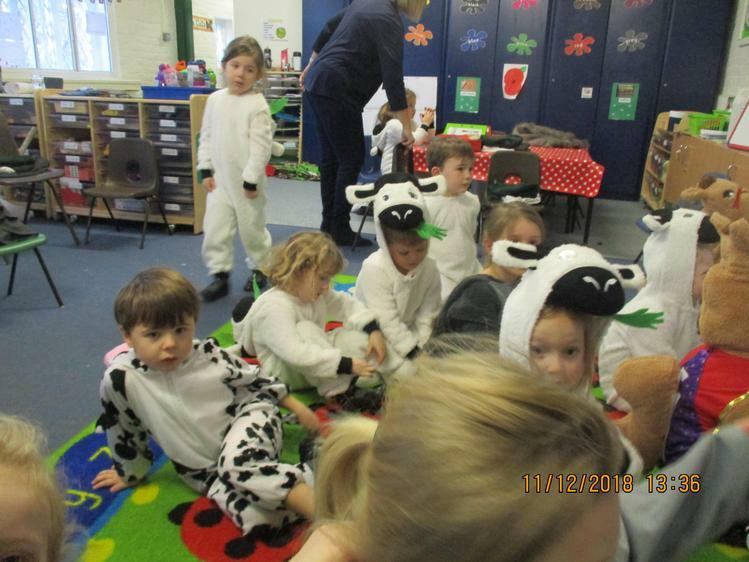 This week our learning has been based on the Gruffalo. 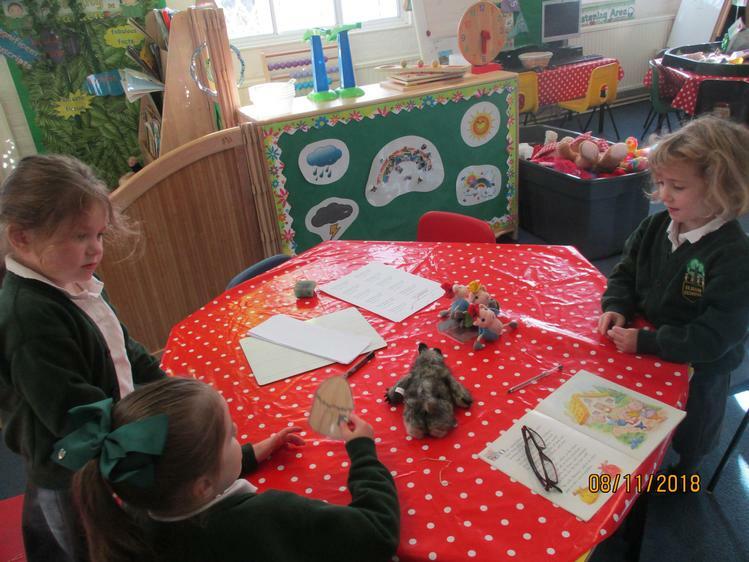 We thought of words to describe him and acted out the story. 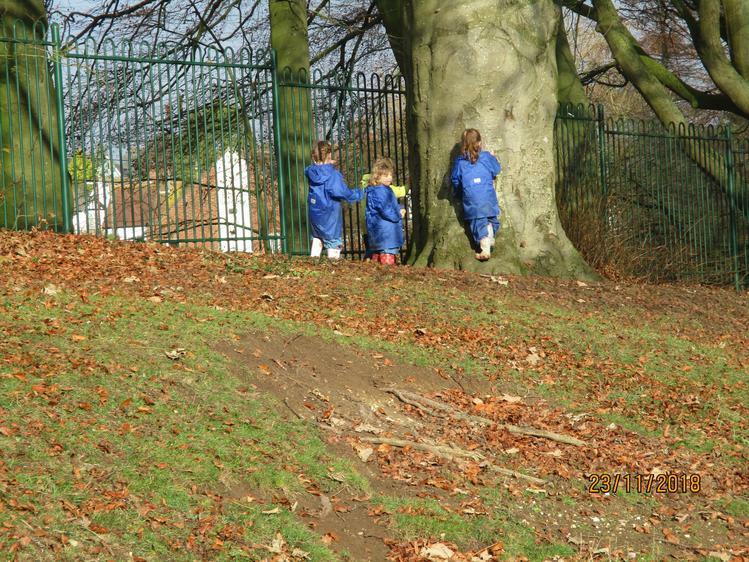 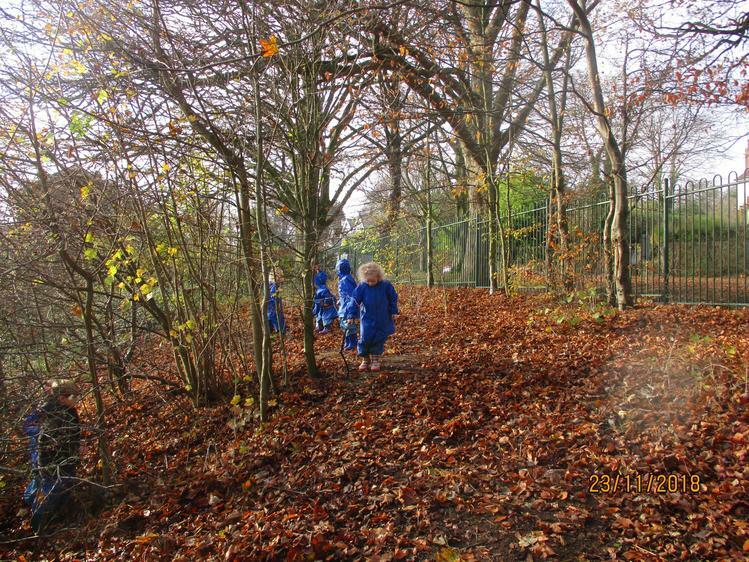 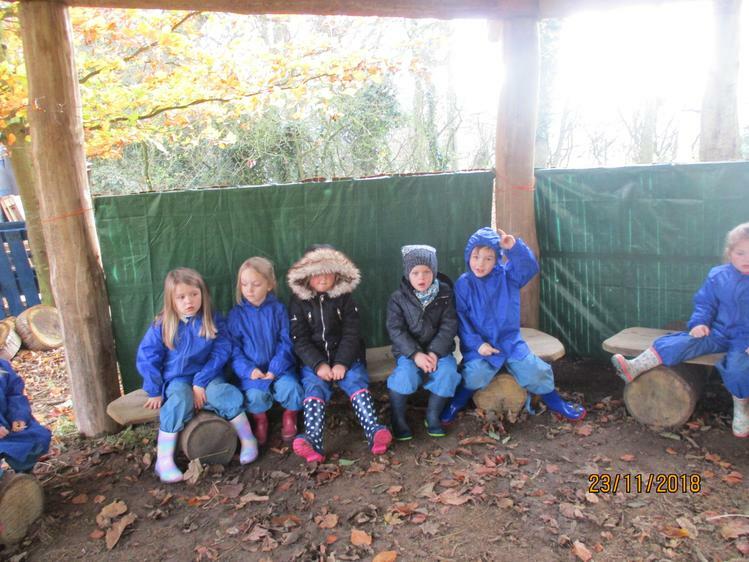 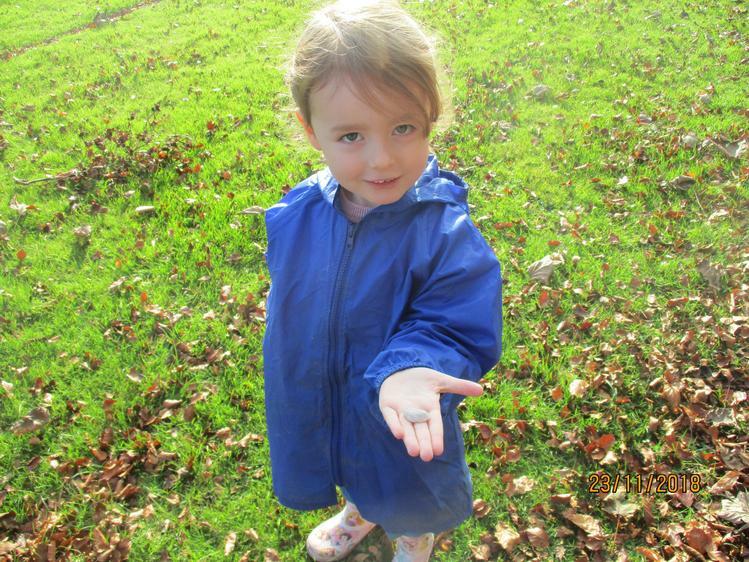 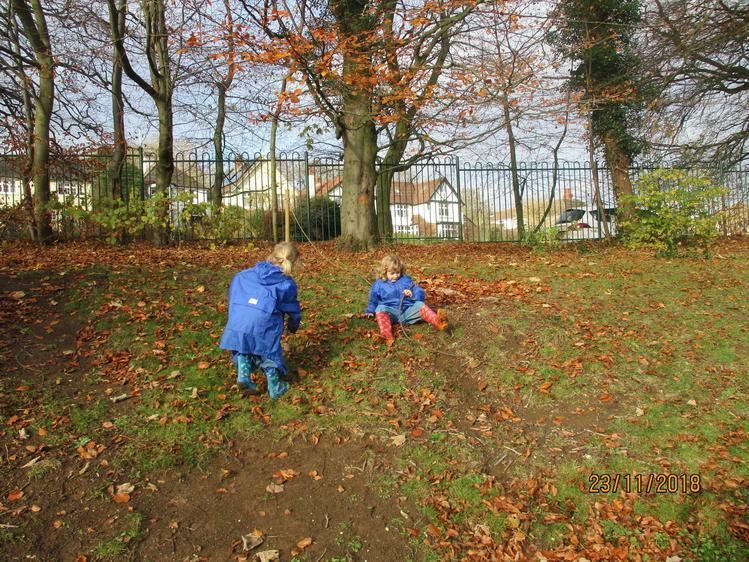 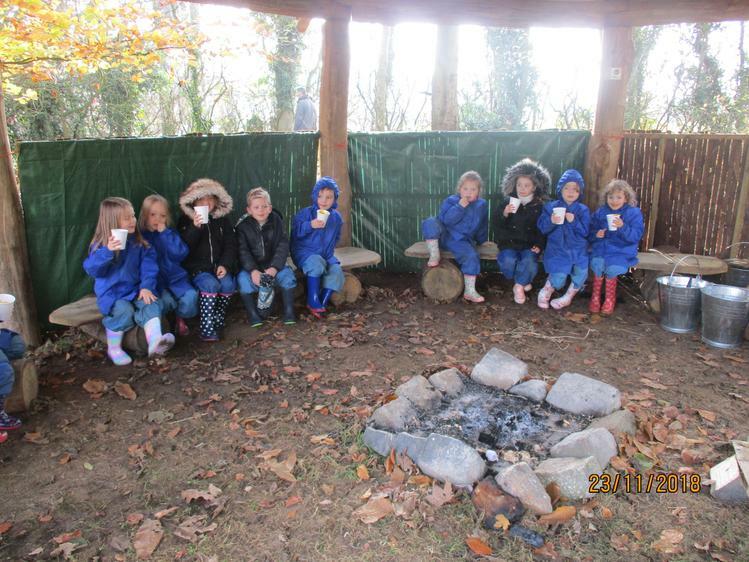 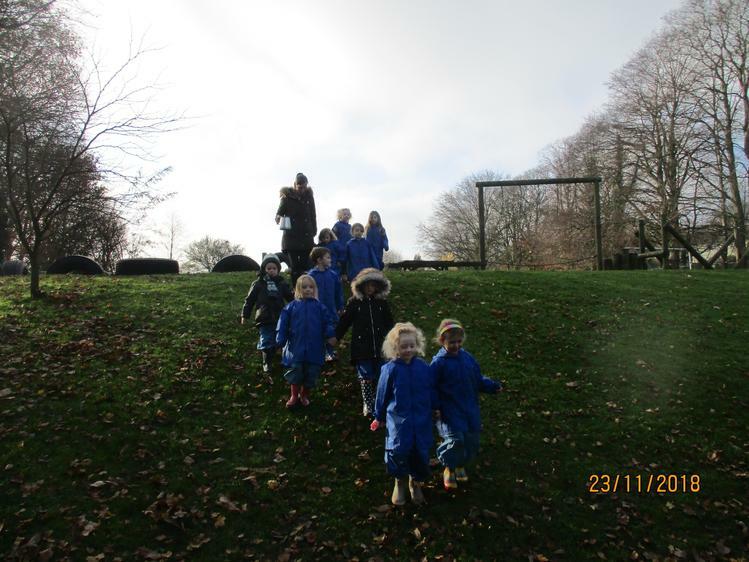 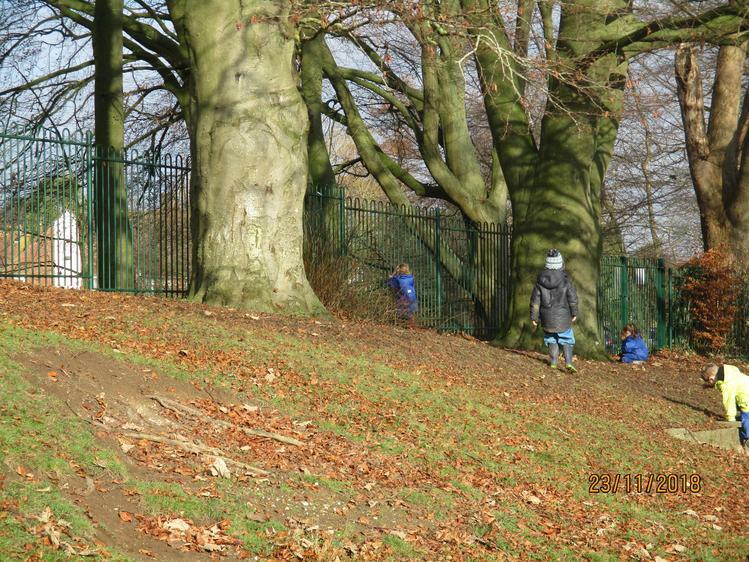 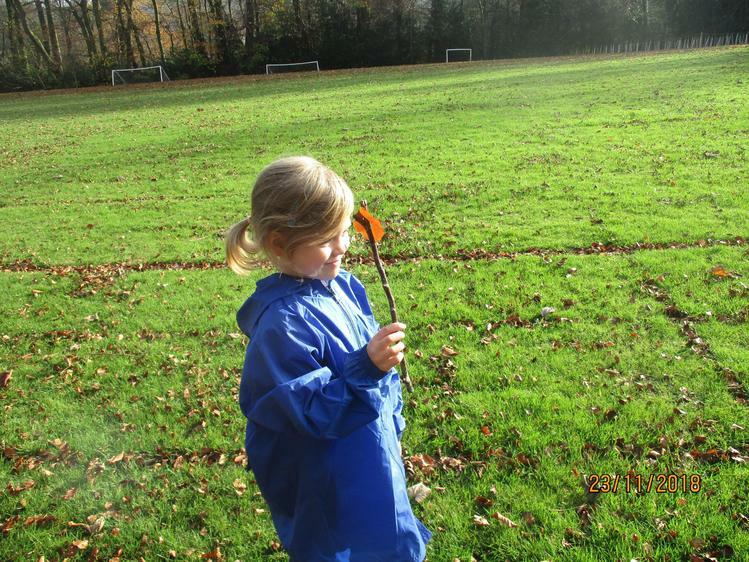 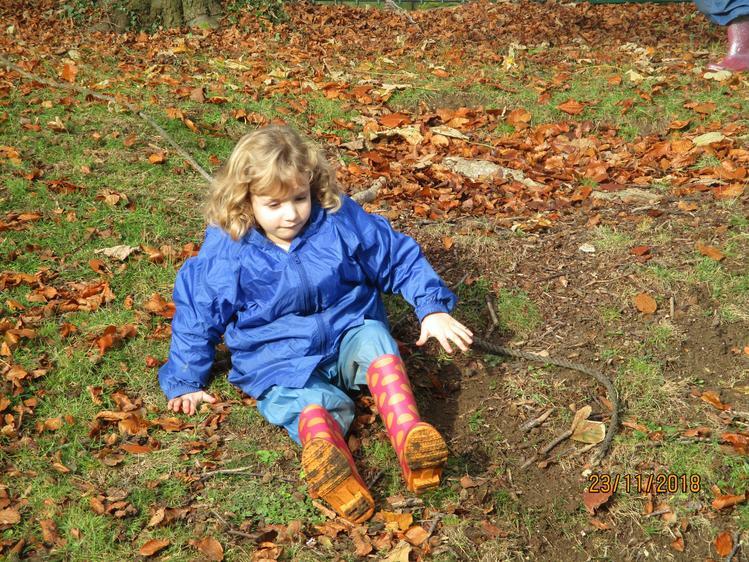 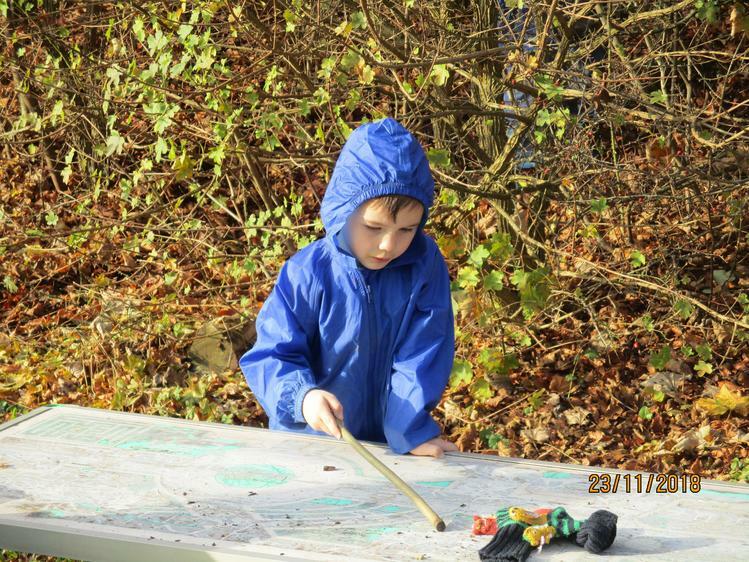 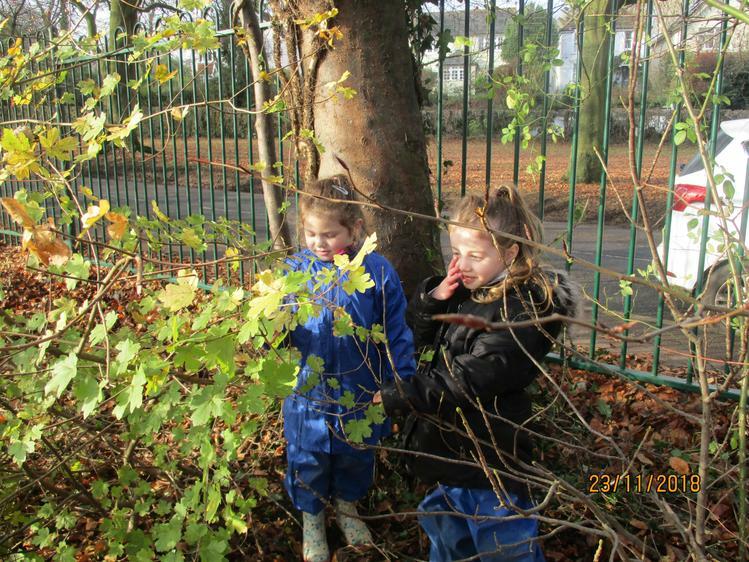 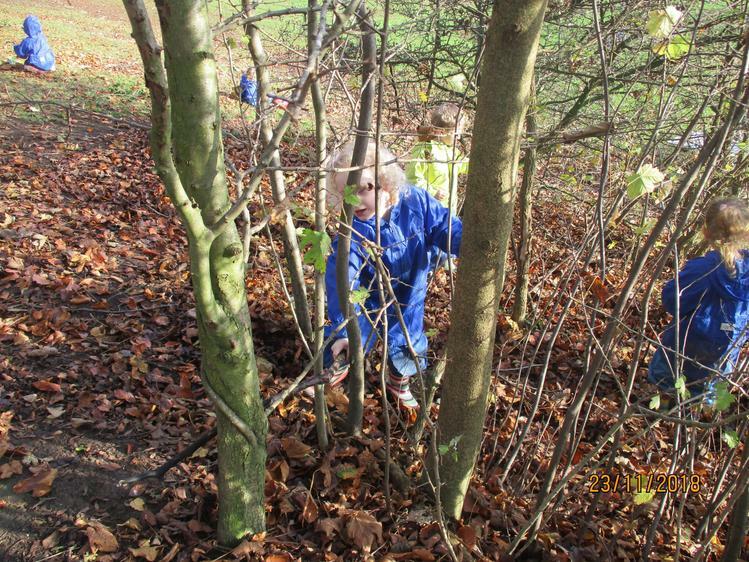 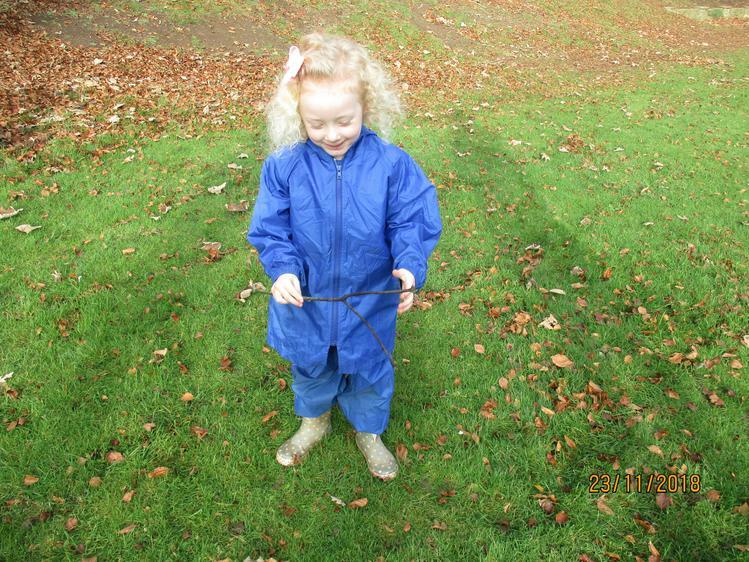 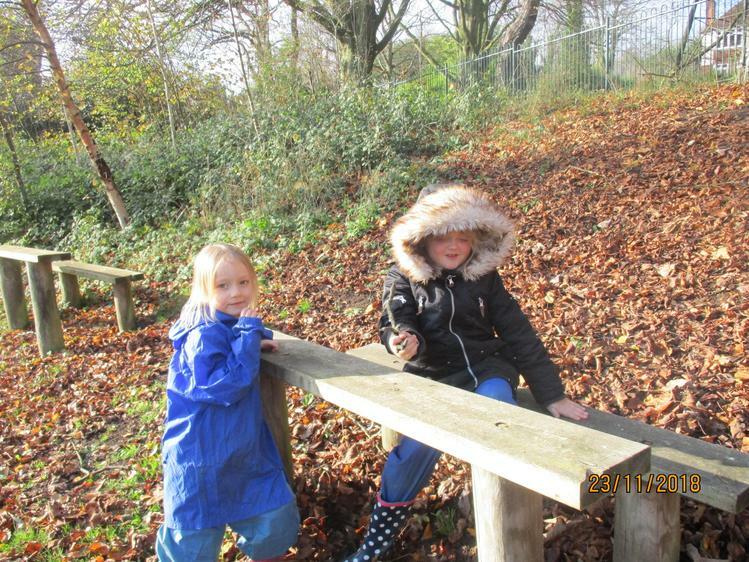 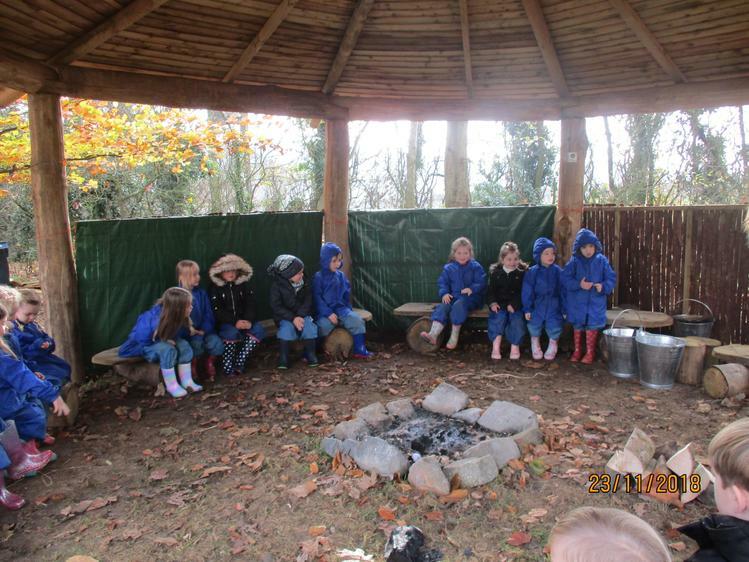 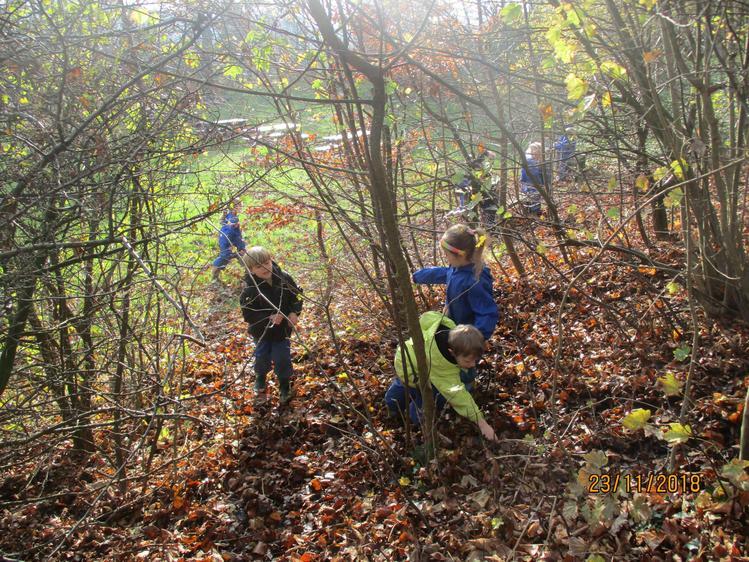 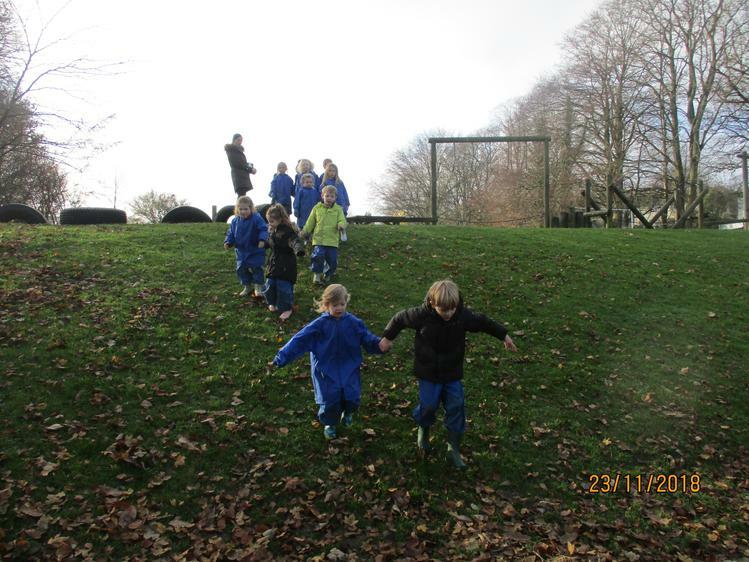 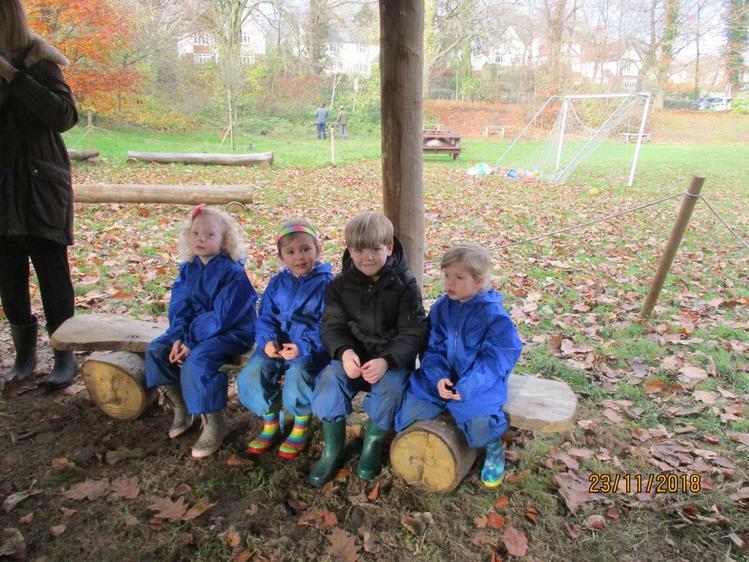 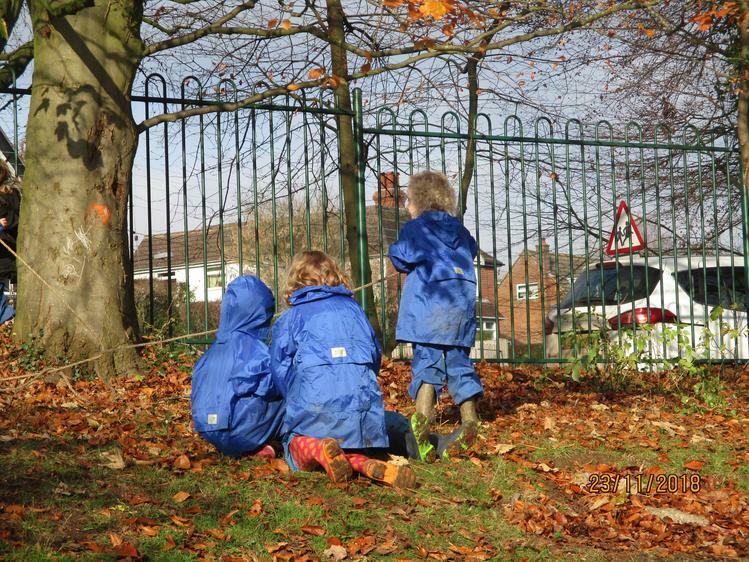 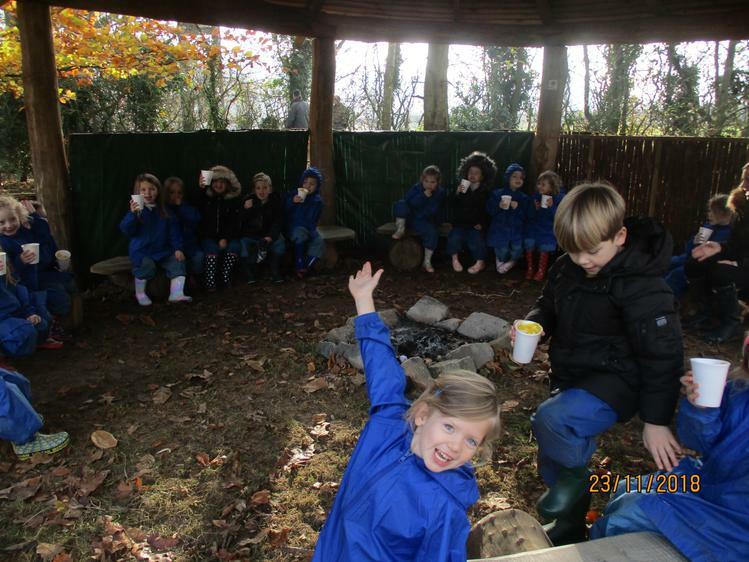 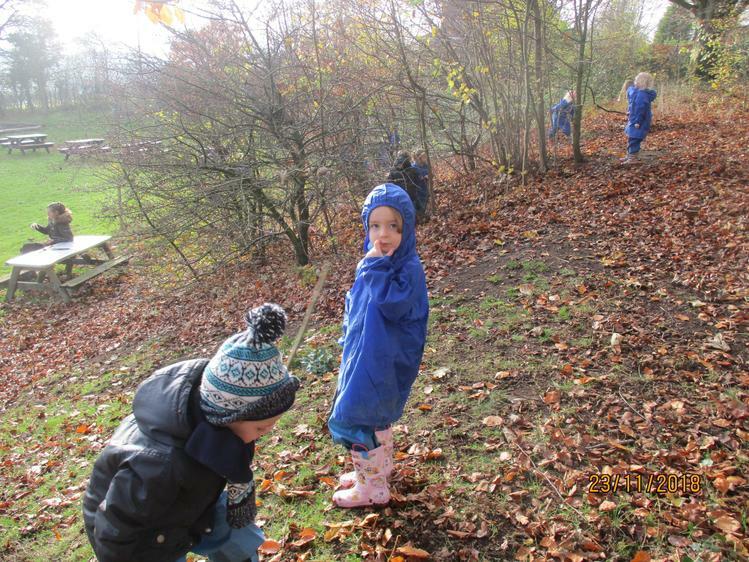 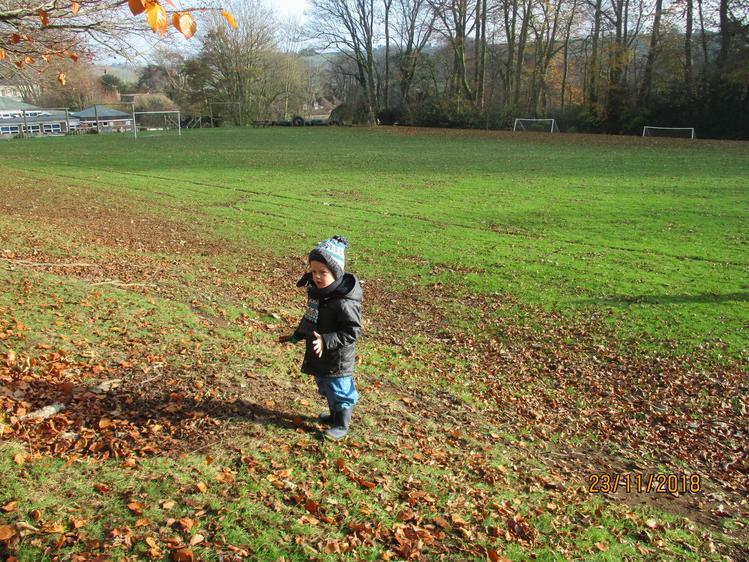 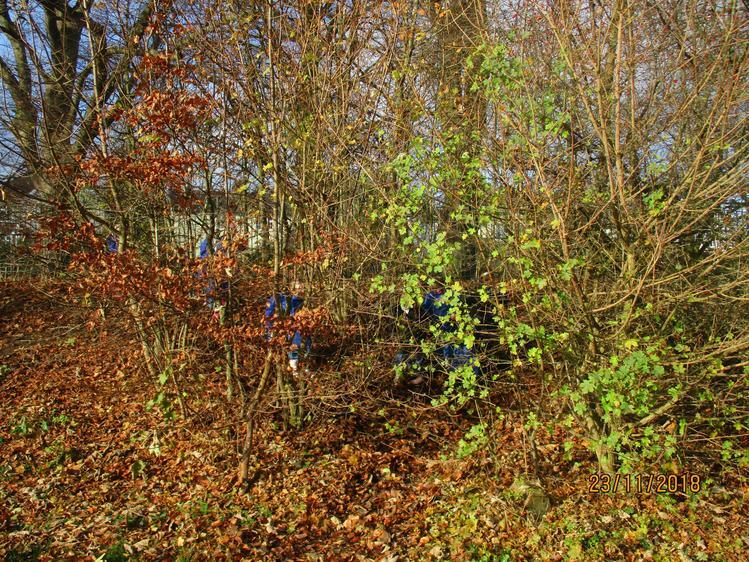 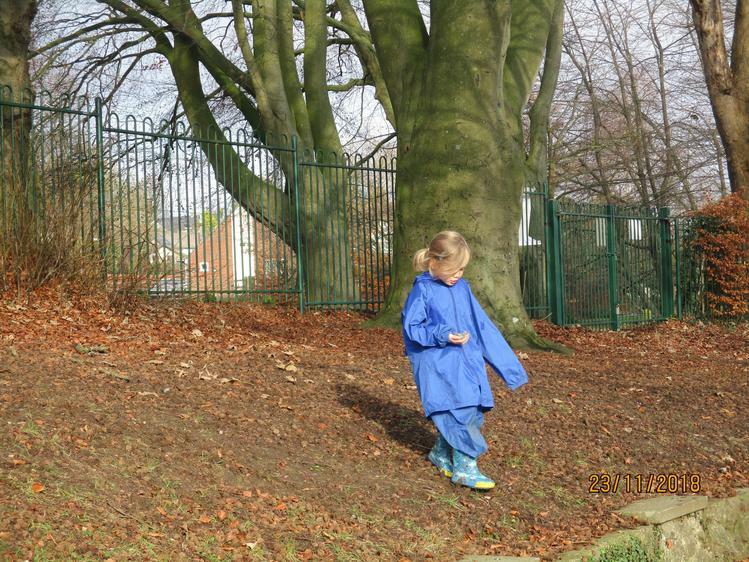 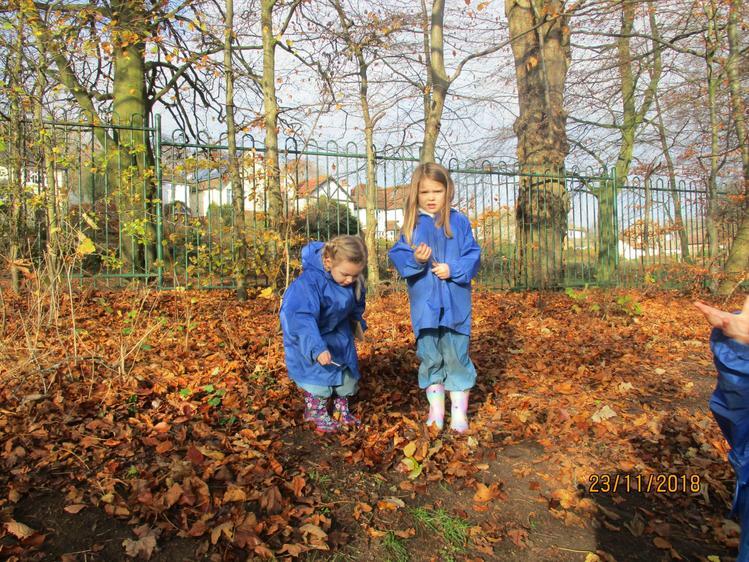 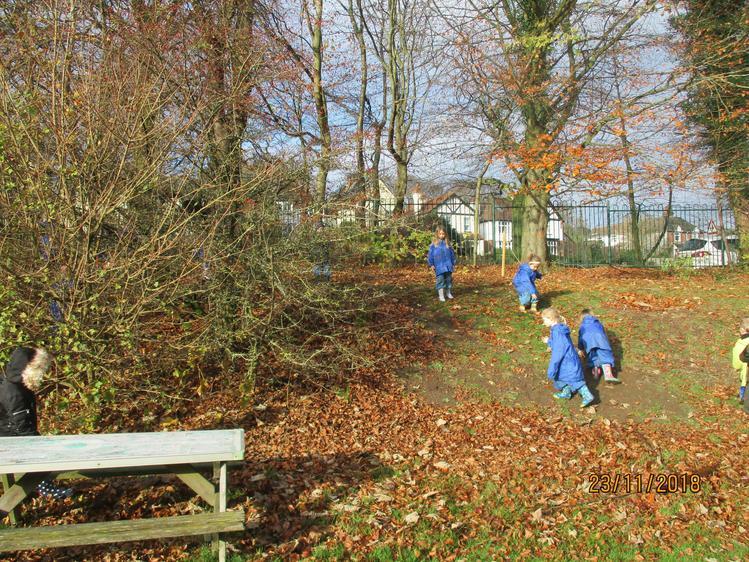 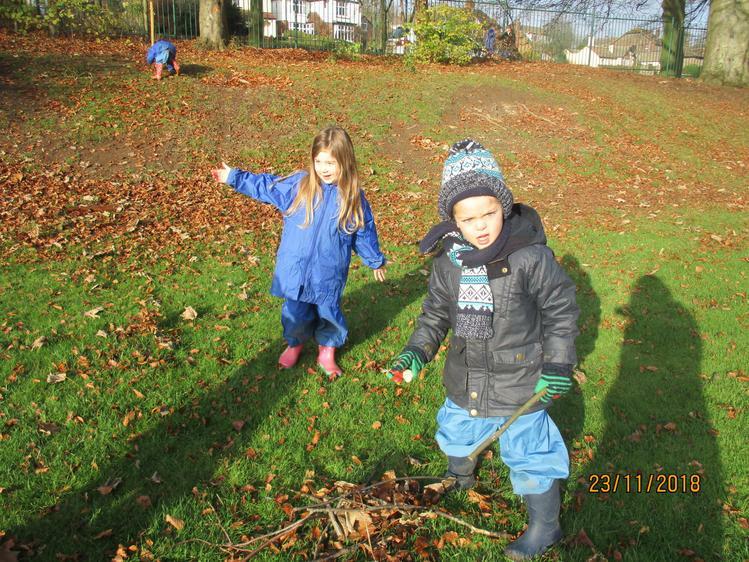 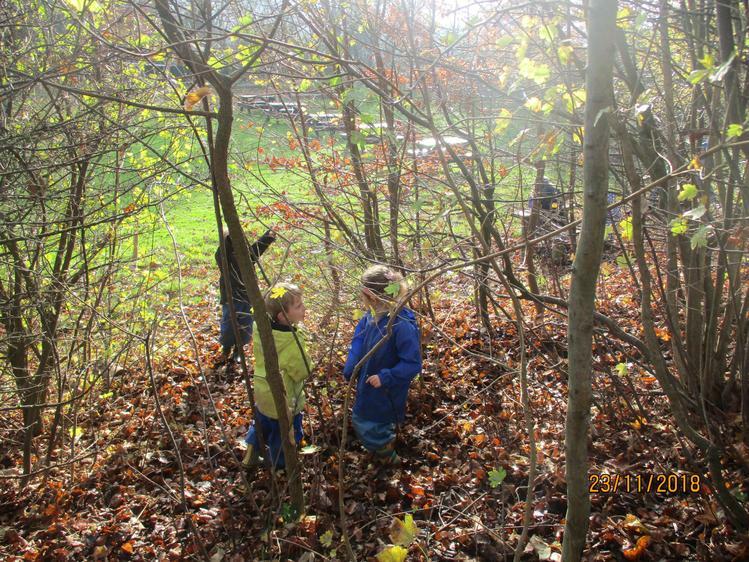 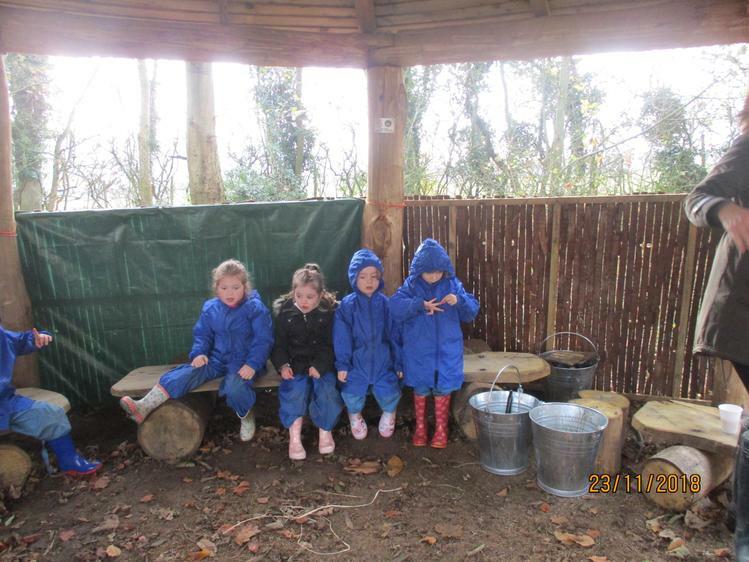 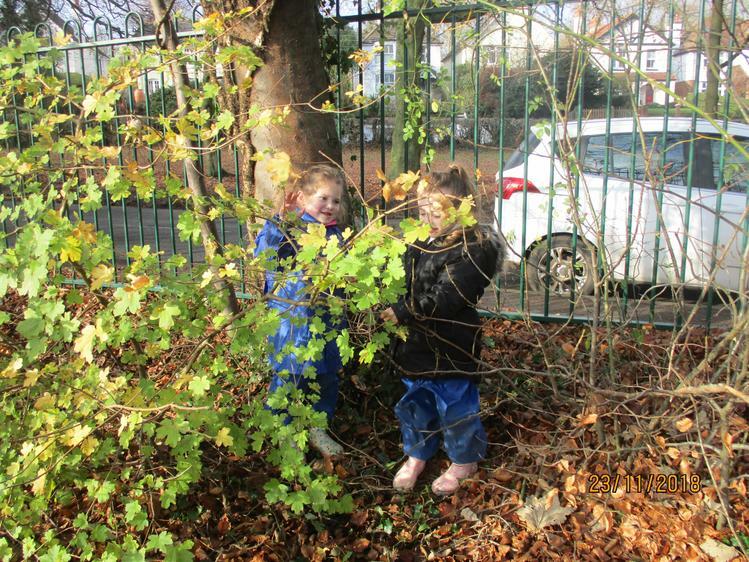 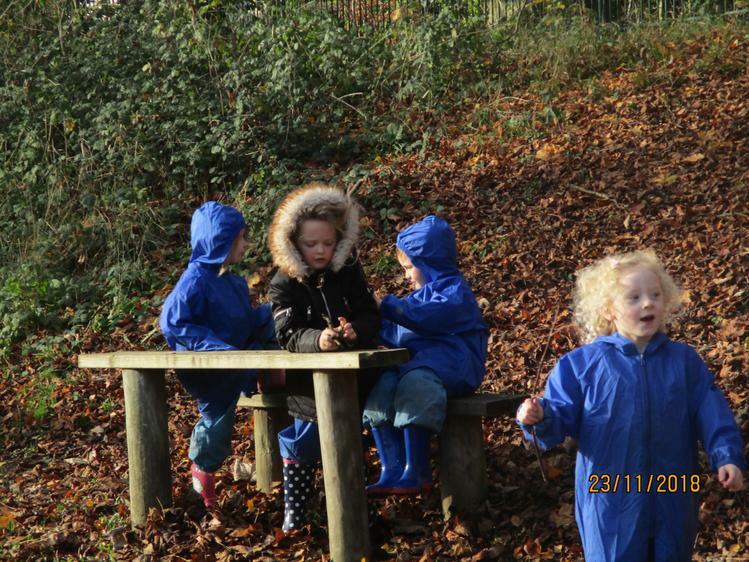 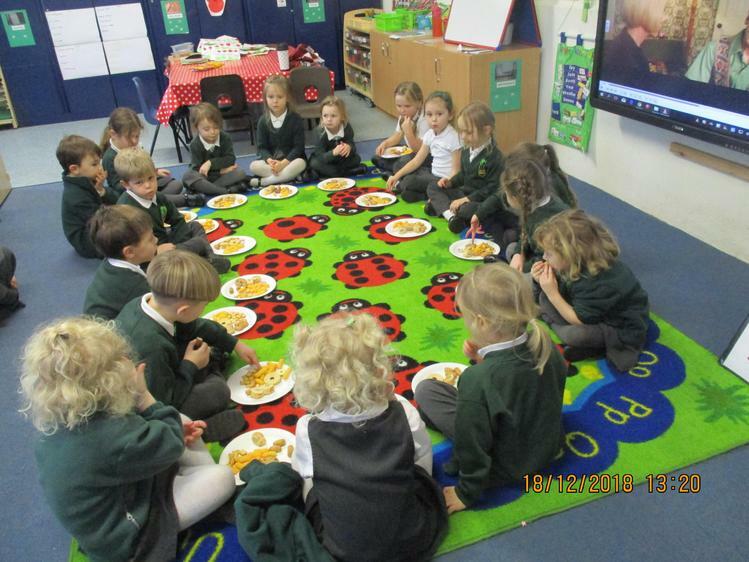 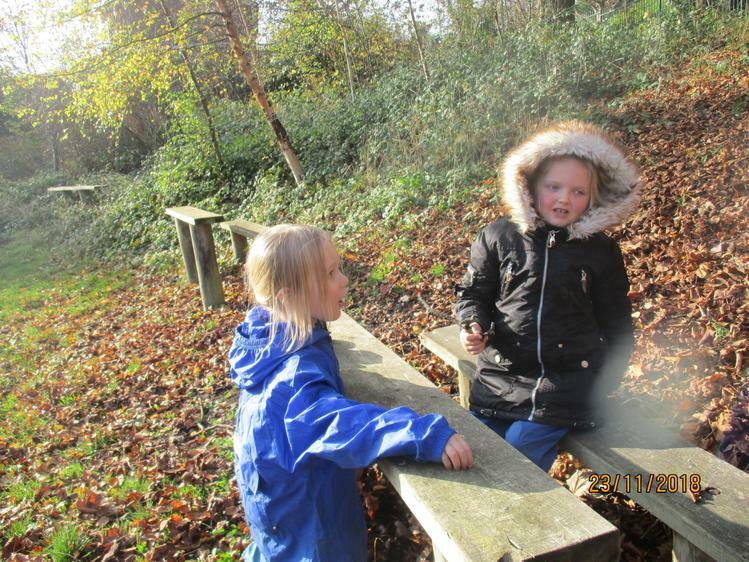 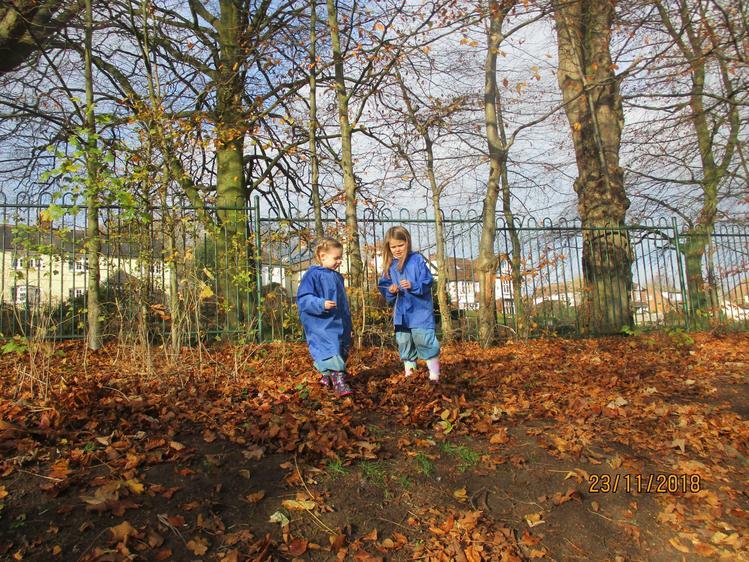 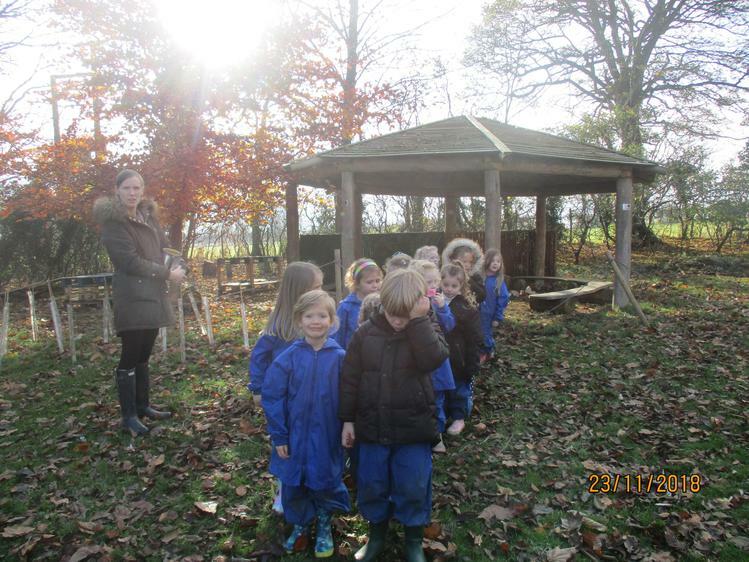 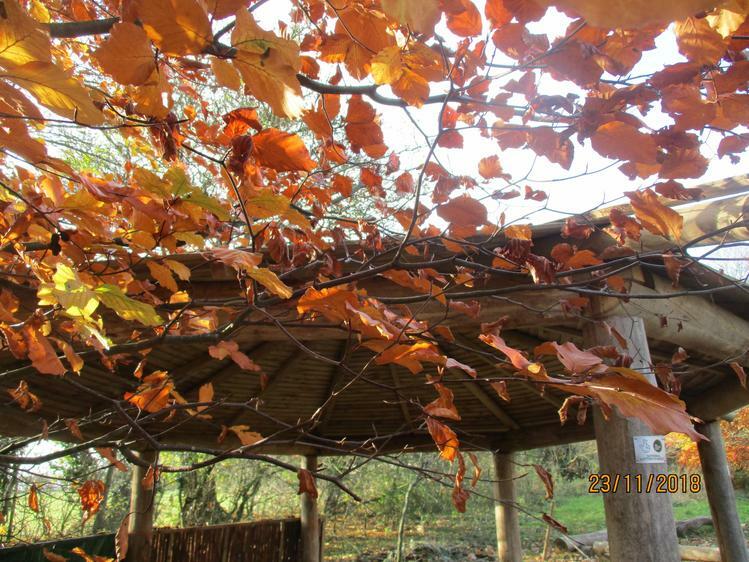 On Friday we made Gruffalo soup and spent the morning hunting for a Gruffalo in our Forest School Area. 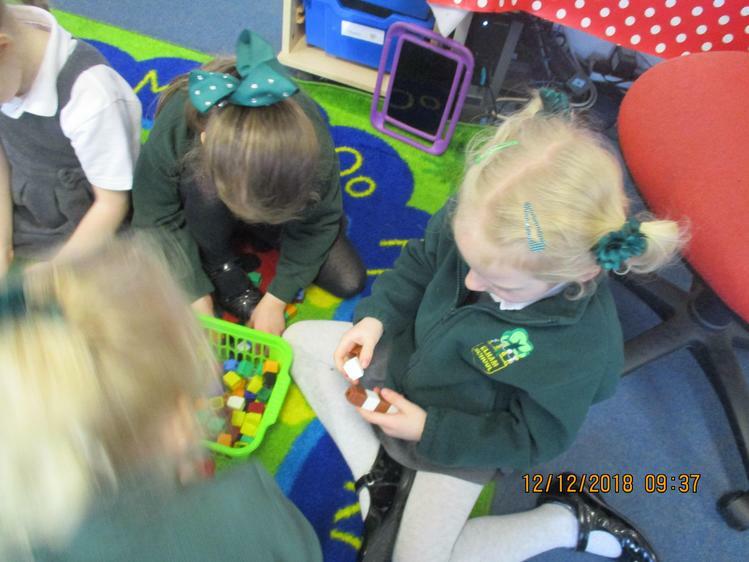 Within Maths we used object to learn how to fairly share between 2, 3 and 5 people. 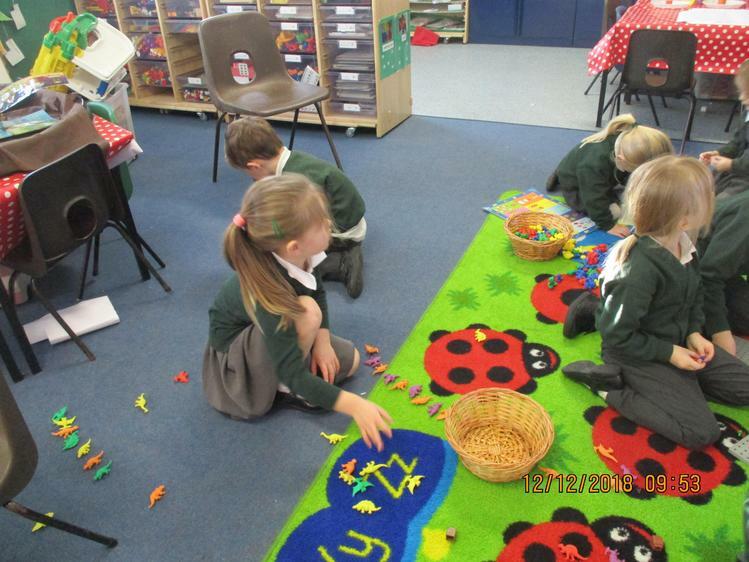 We have have a very busy week. 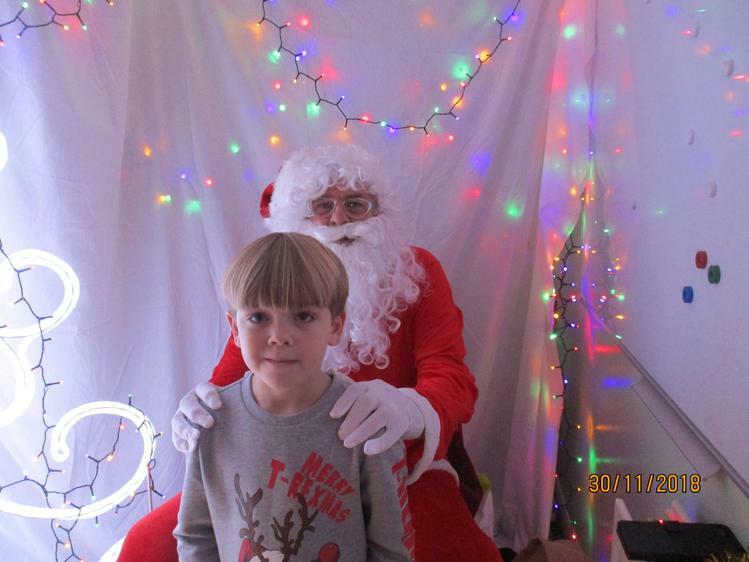 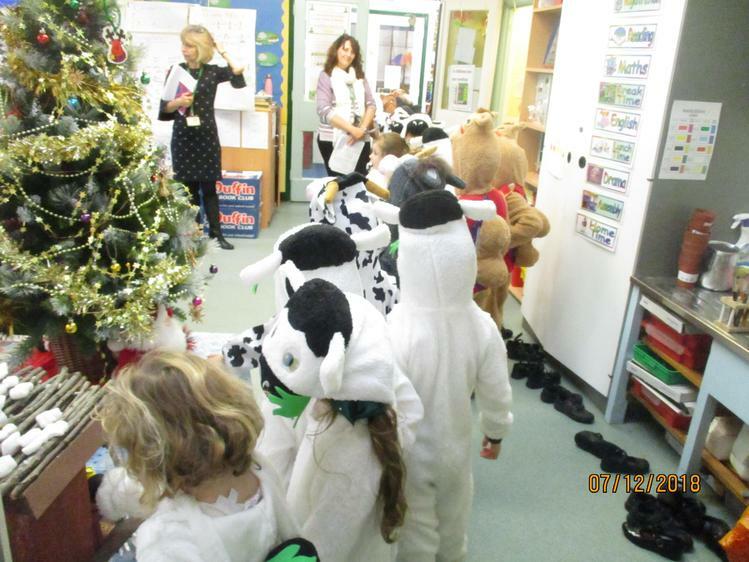 It seems that Christmas has arrived in Elham. 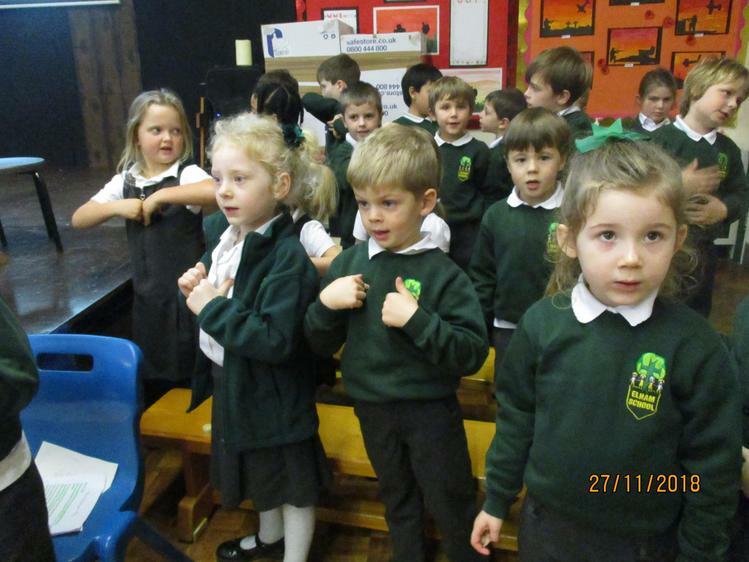 We are learning lots of songs, I wonder why? 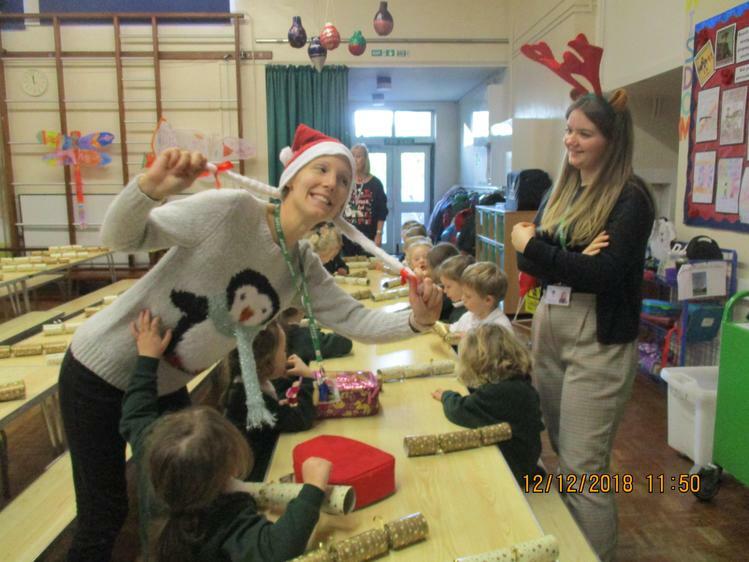 Some super Christmas jumpers made for an exciting day. 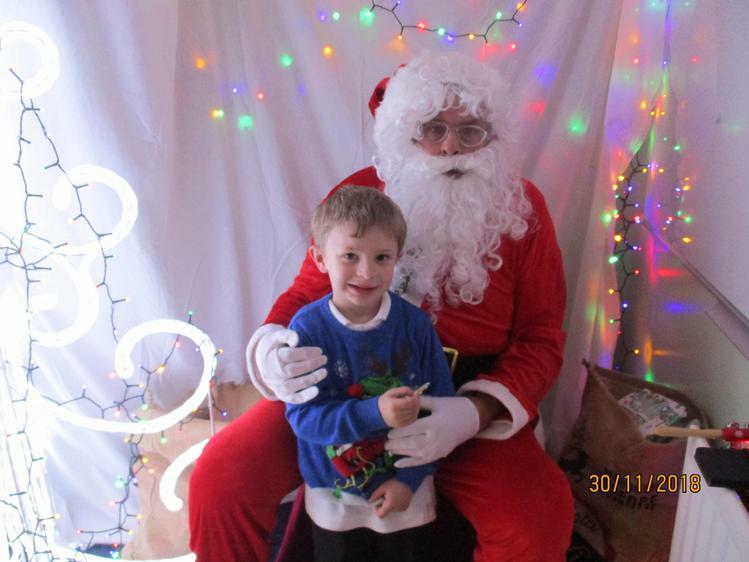 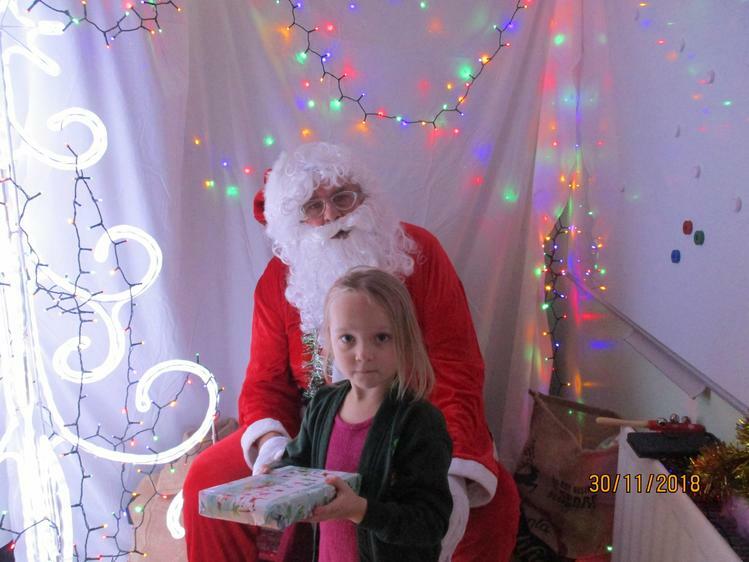 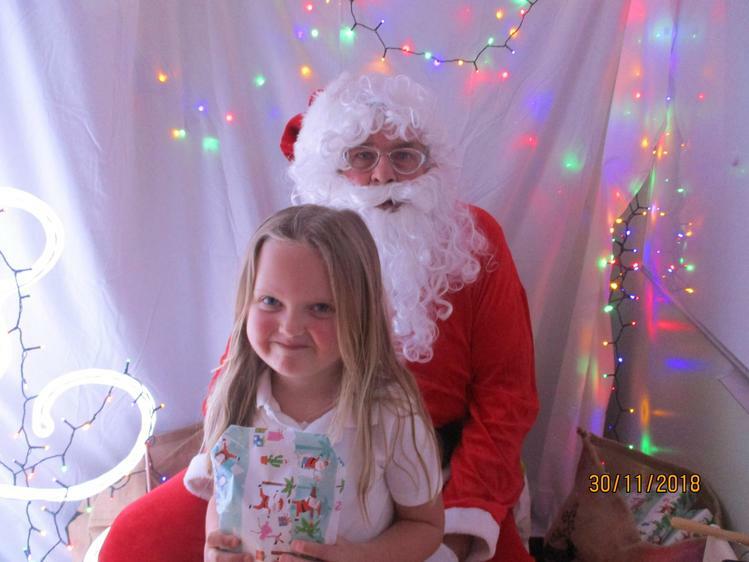 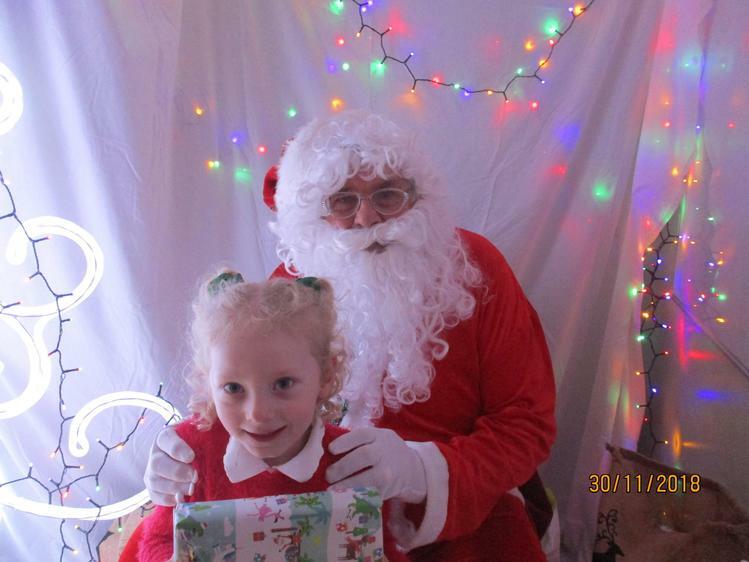 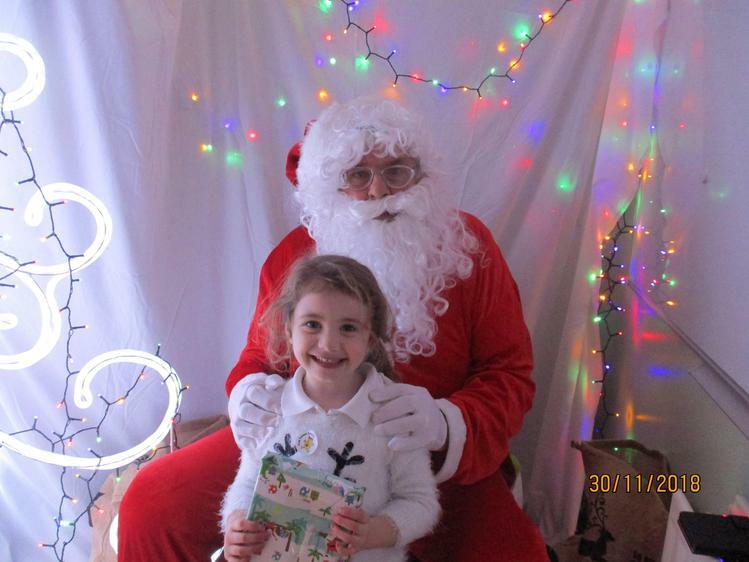 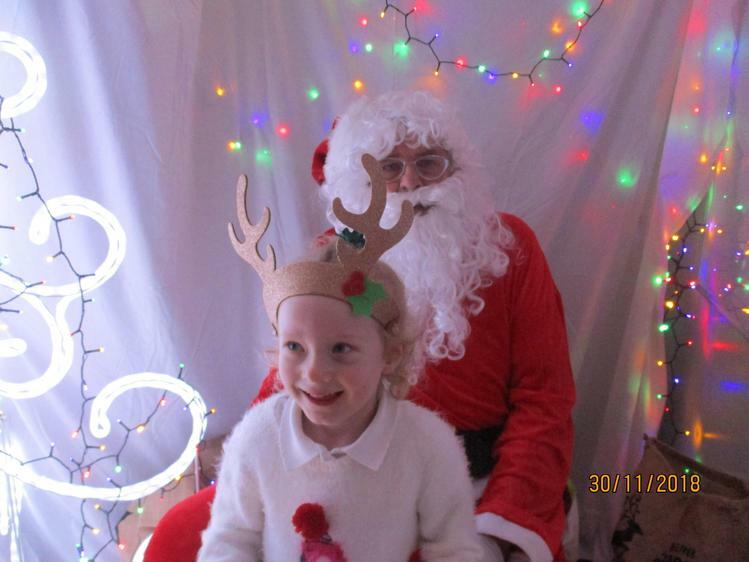 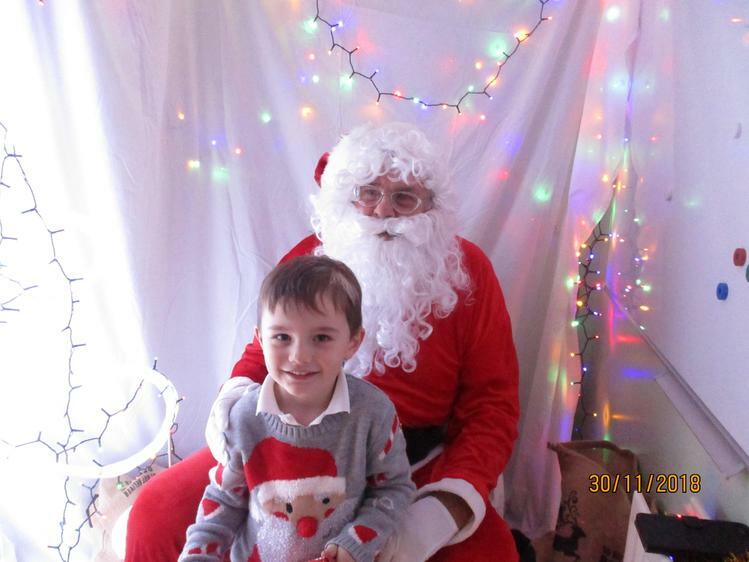 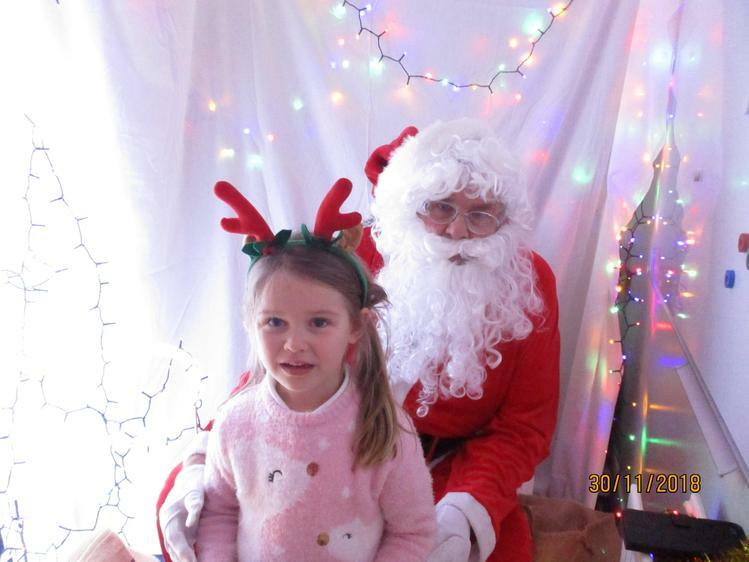 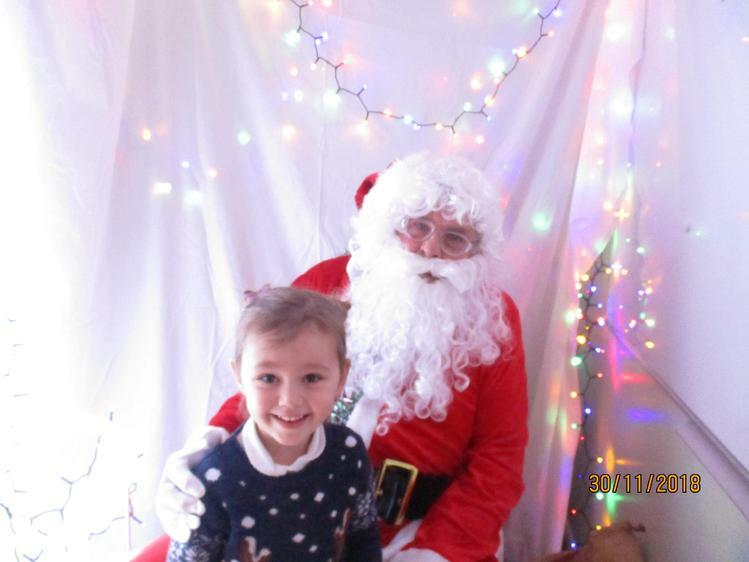 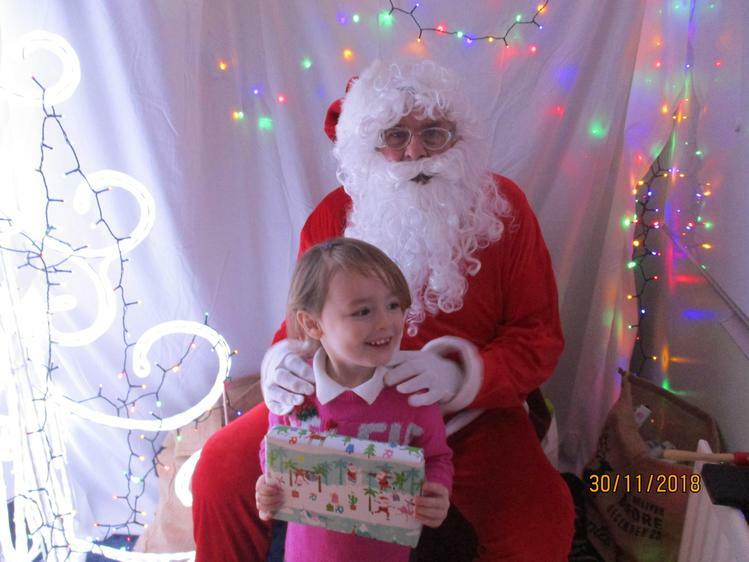 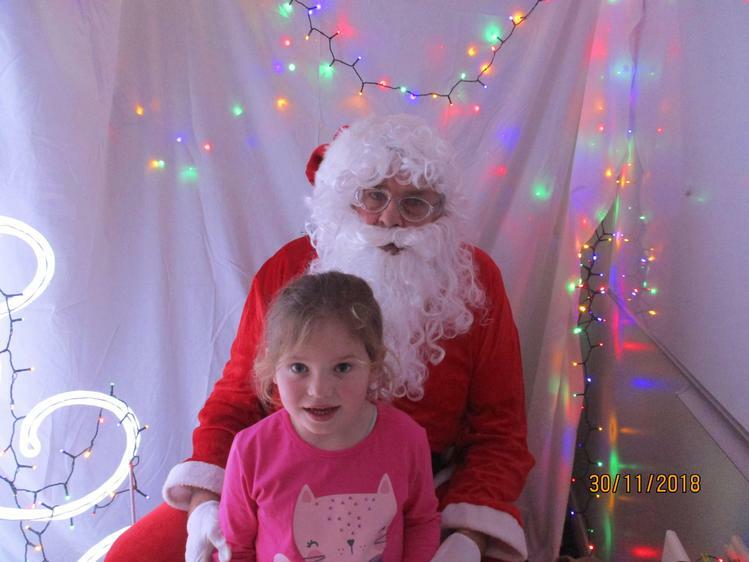 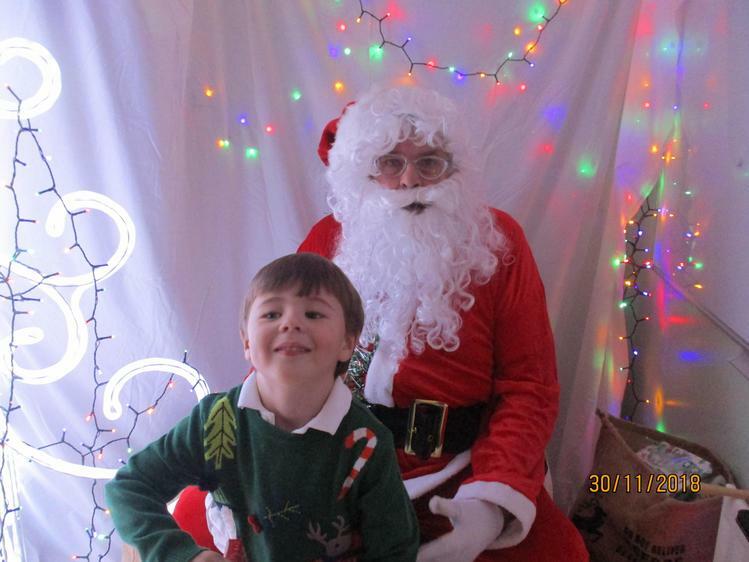 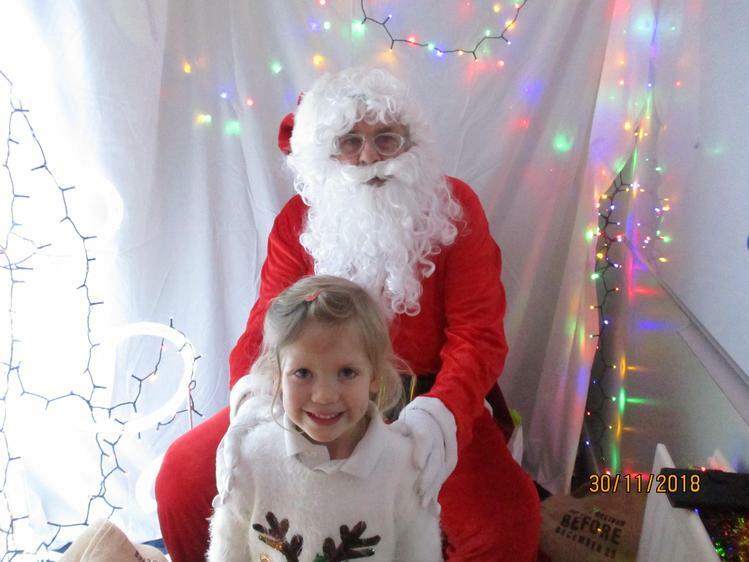 A very special visitor came all the way from the North Pole to see us. 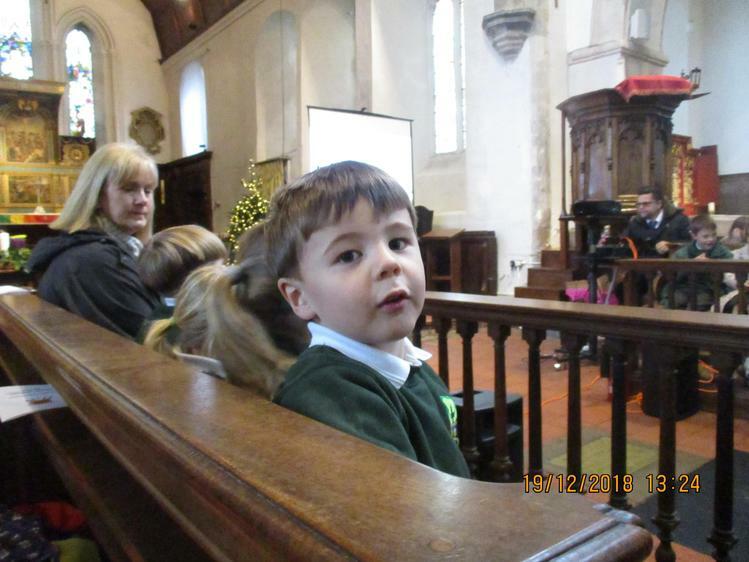 What a fabulous, exciting week. 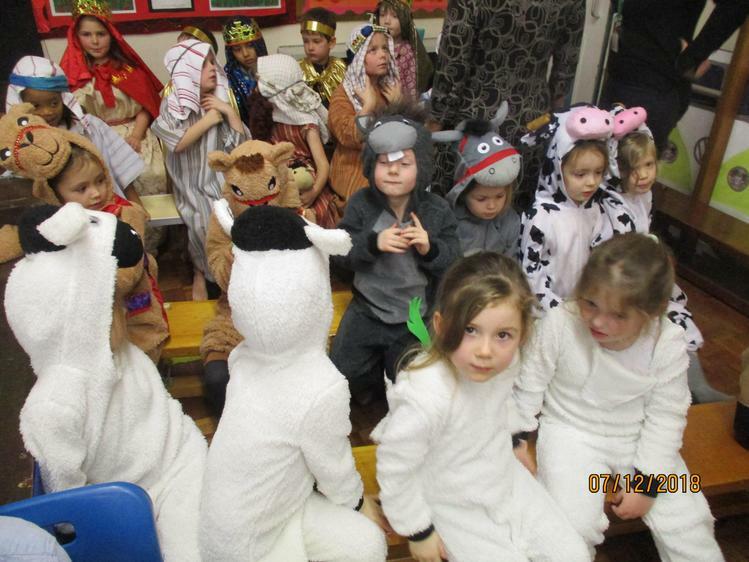 A fantastic time was had by all at the Panto. 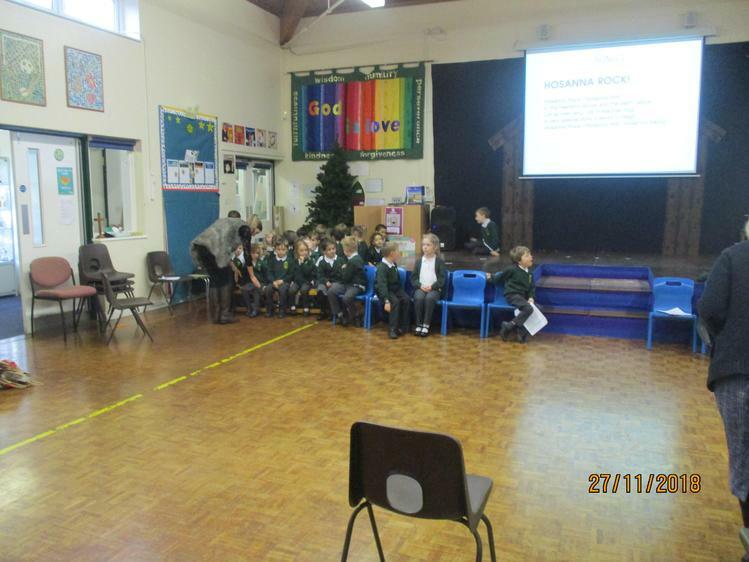 Well done to Acorn Class for super behaviour. 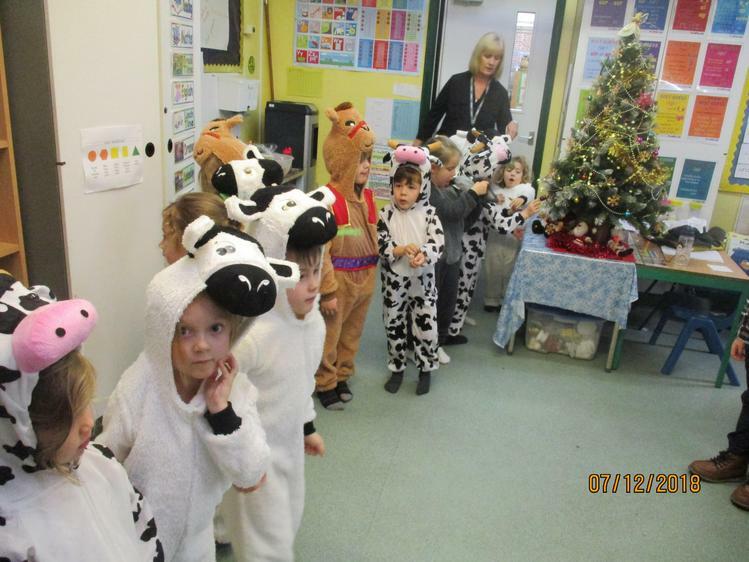 They were a credit to the school and a pleasure to take out. 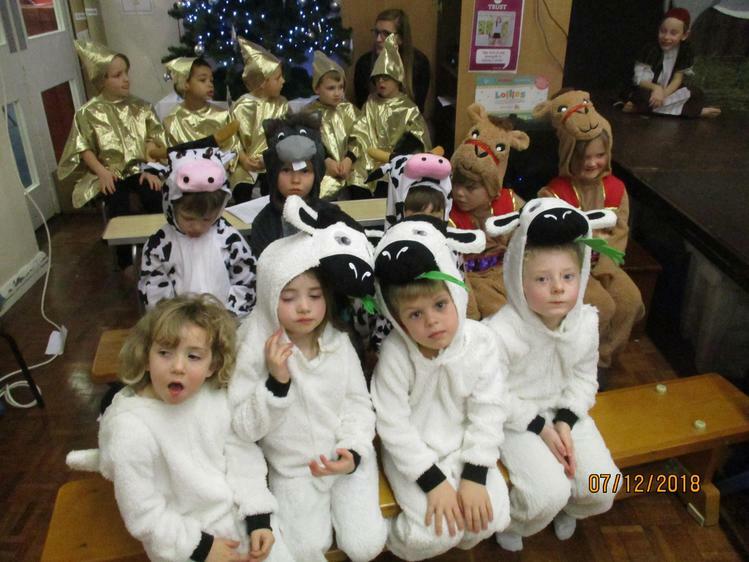 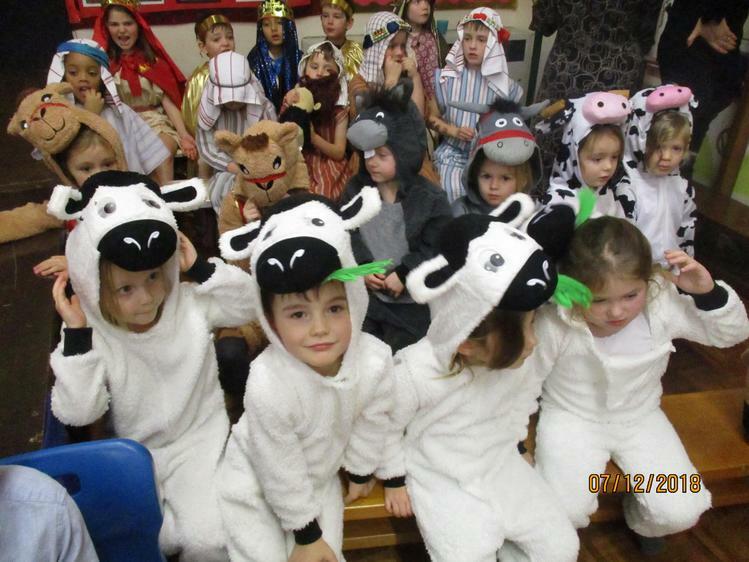 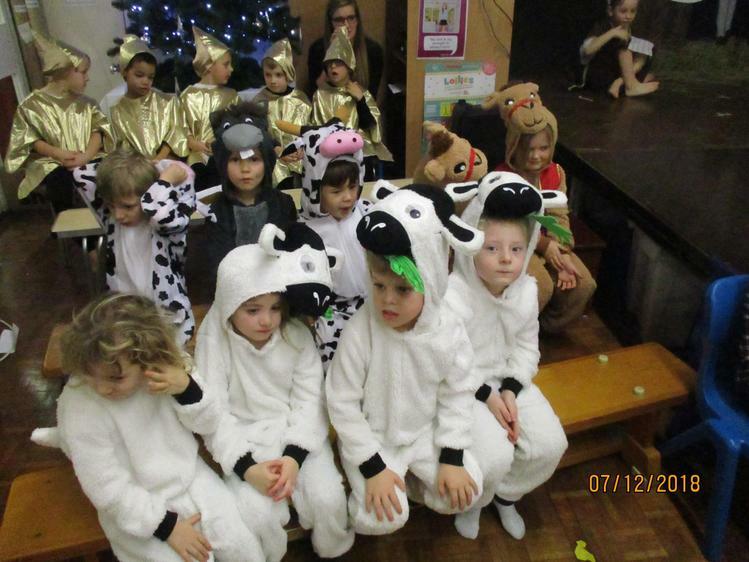 This week after lots of rehearsals we finally got to perform our Nativity. 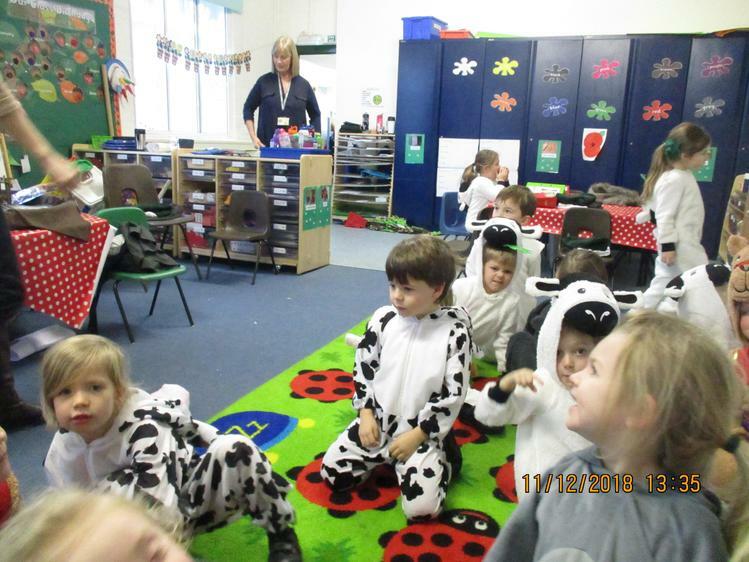 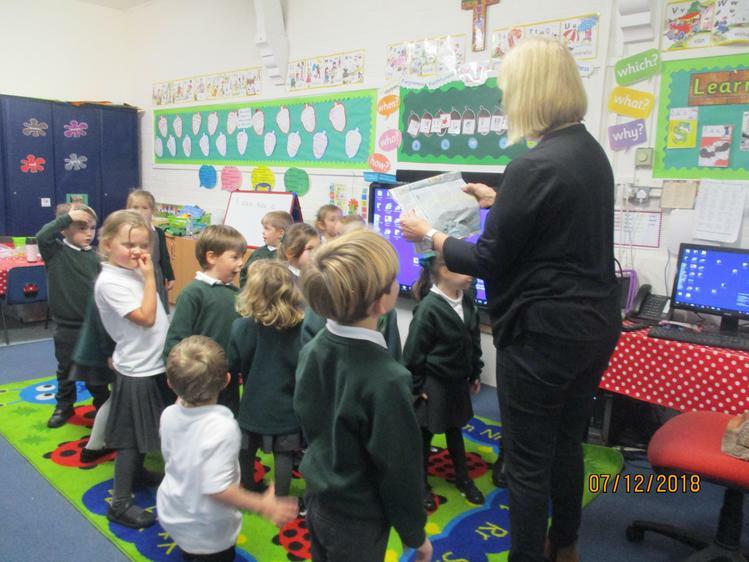 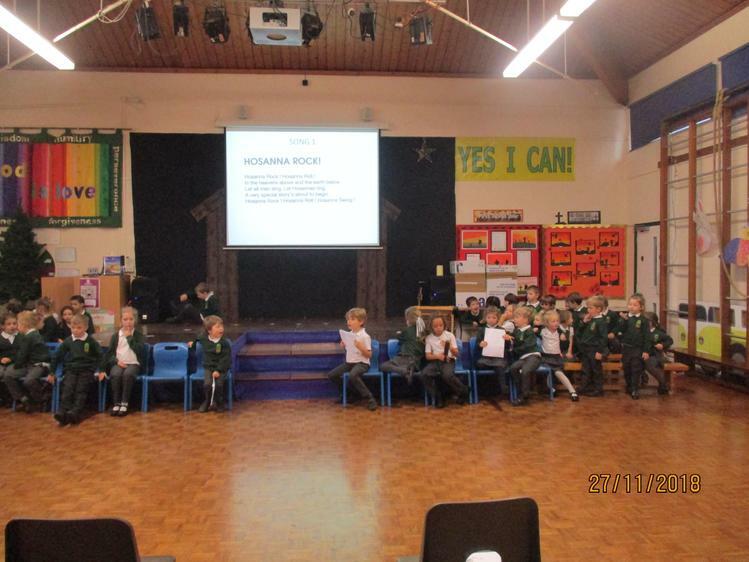 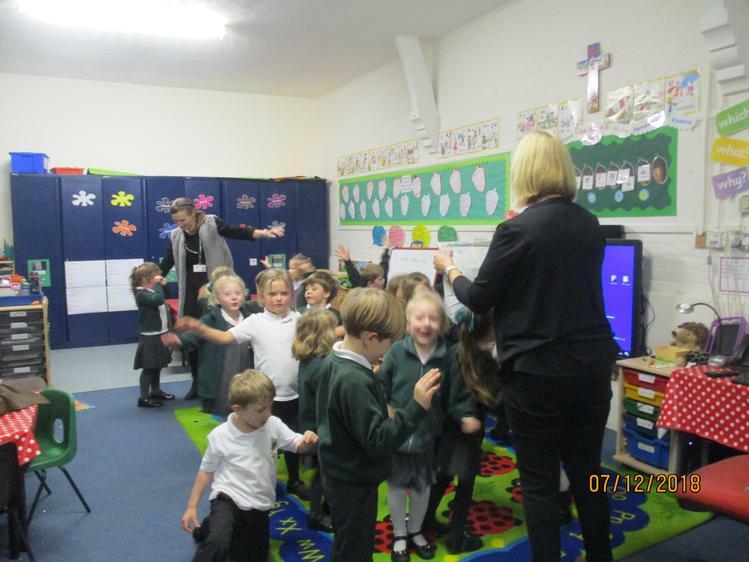 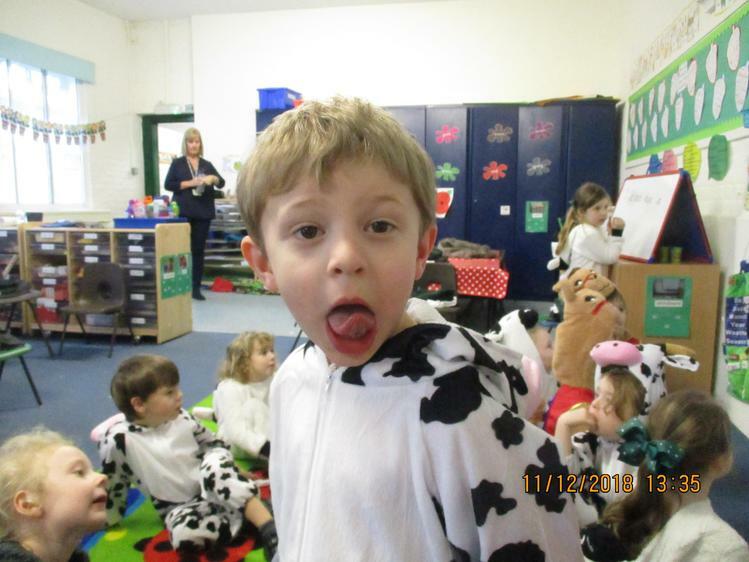 We had some super singing, well done Acorns for learning all of those words. 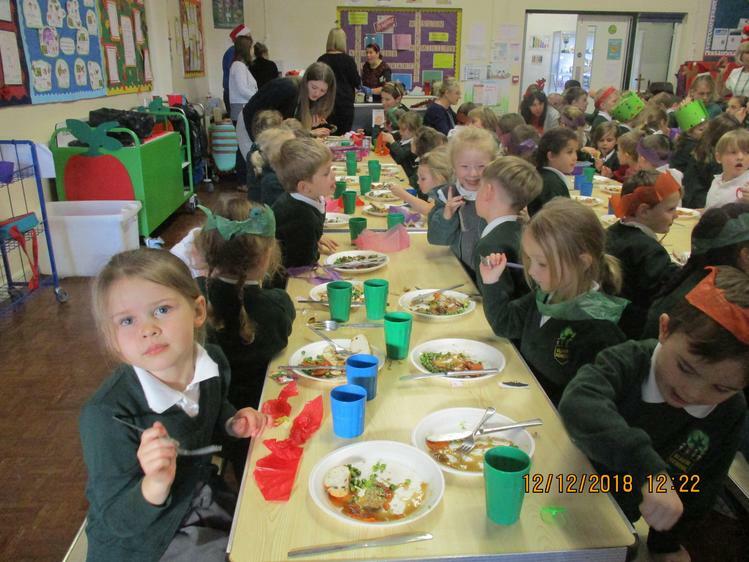 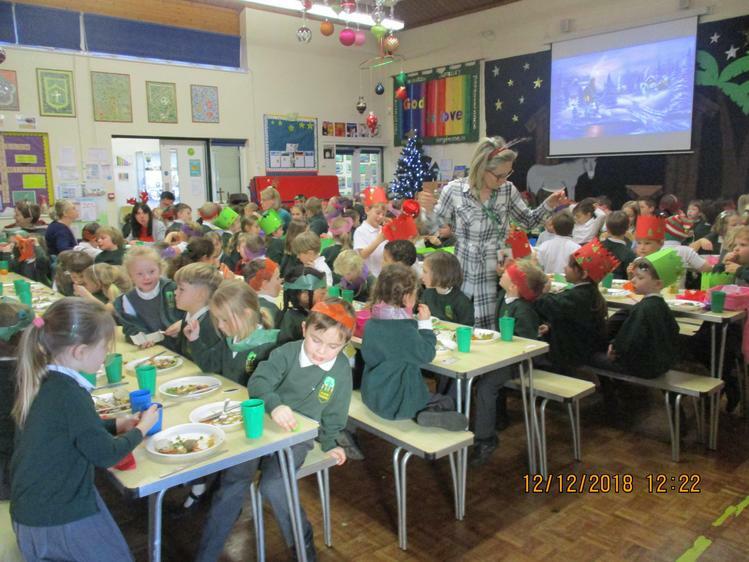 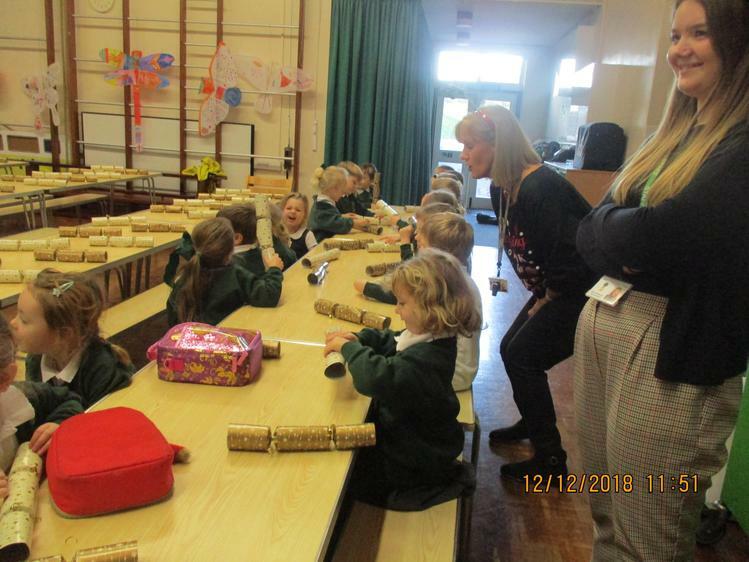 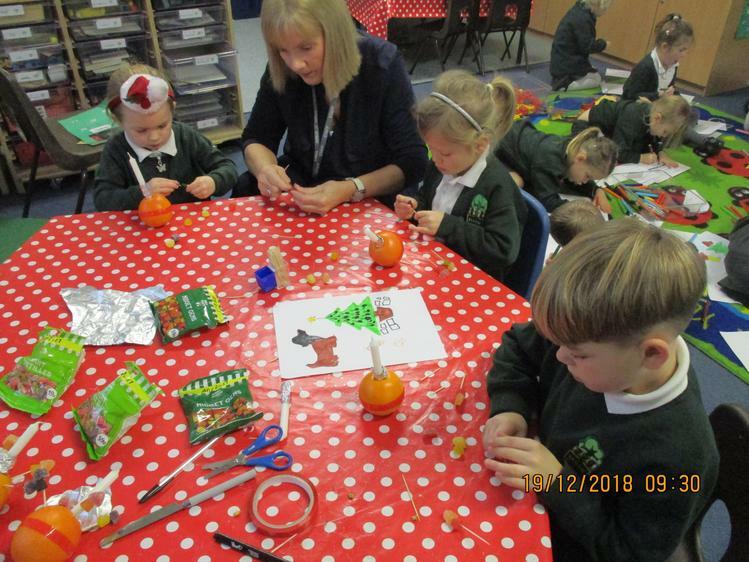 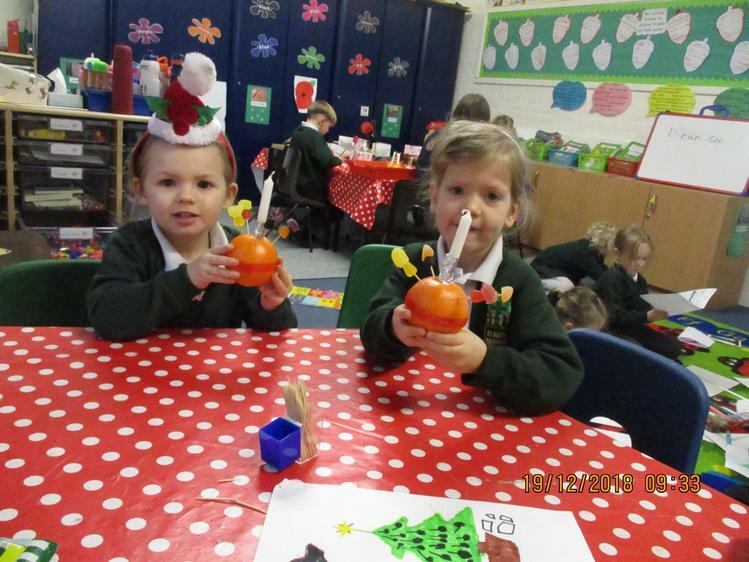 We had a yummy Christmas lunch and made lots of Christmas art and crafts. 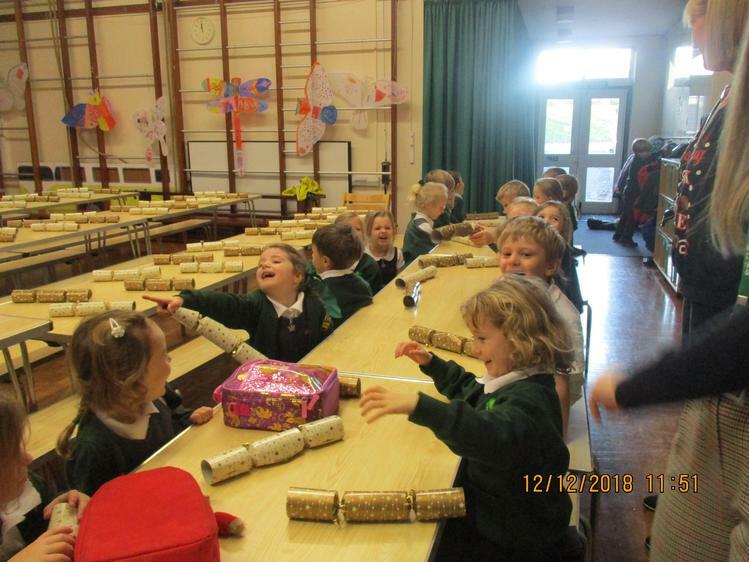 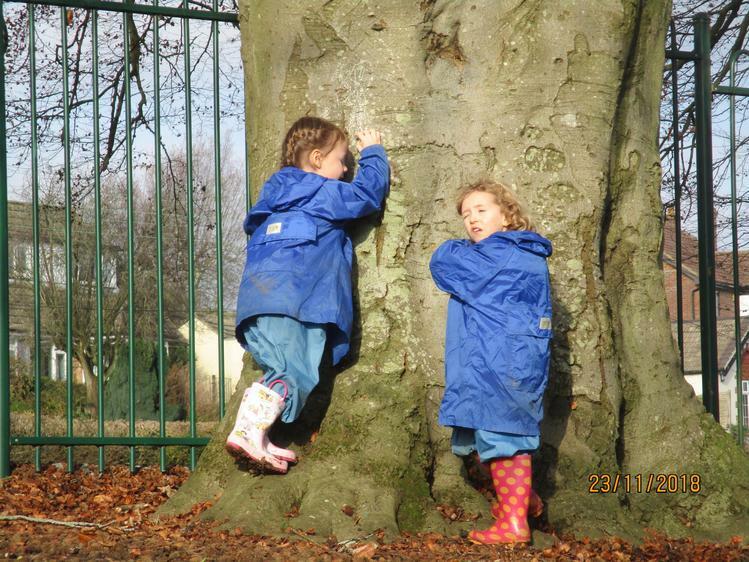 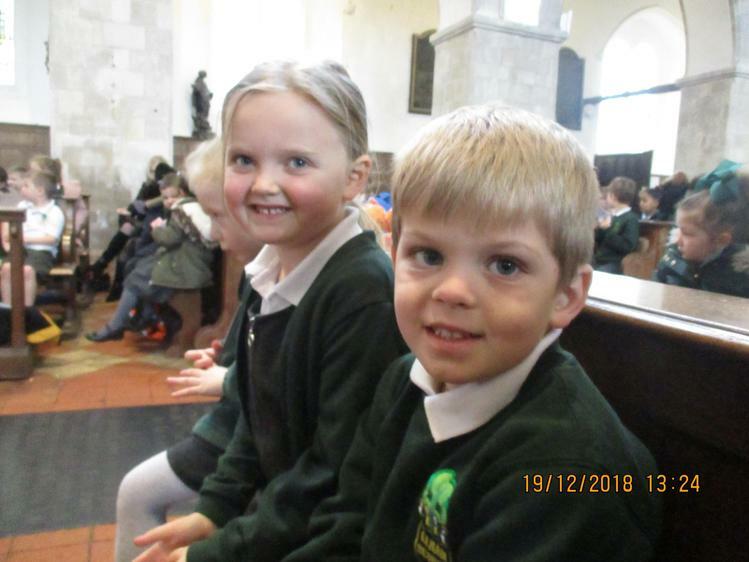 What a lovely fun week we've had for our final week of term. 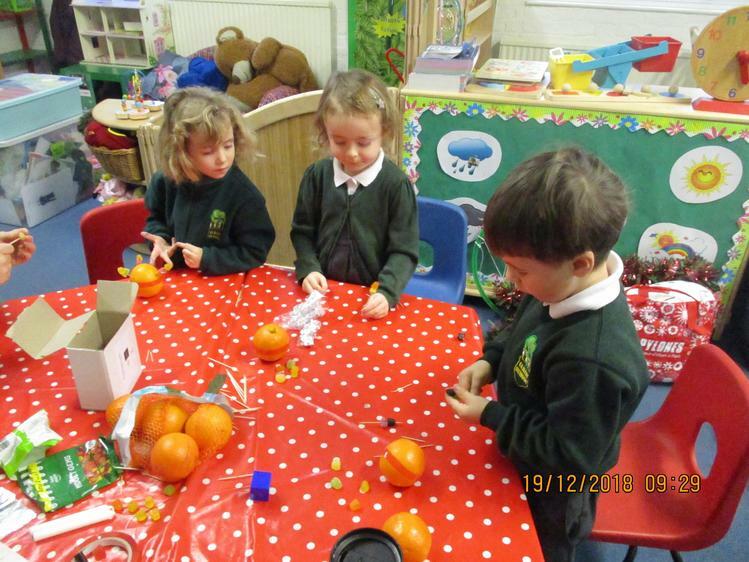 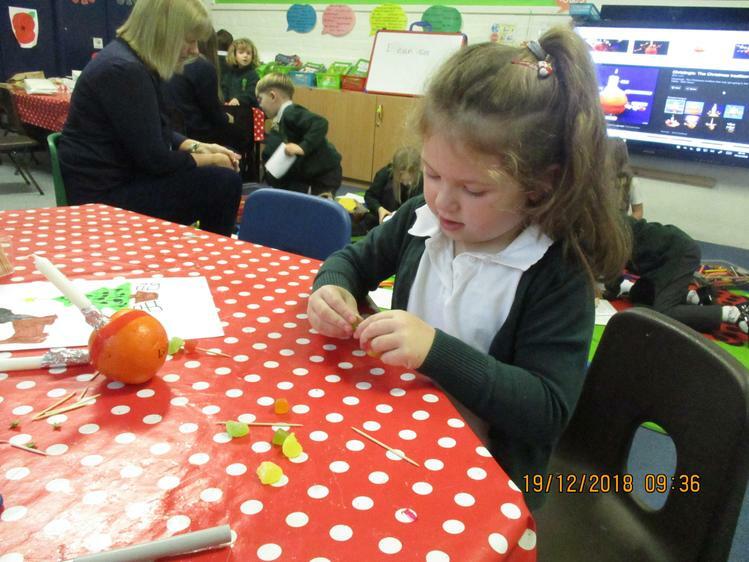 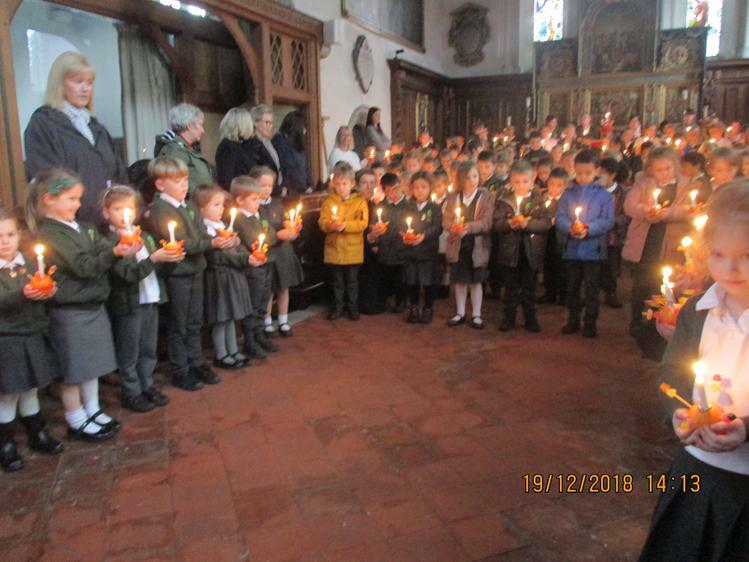 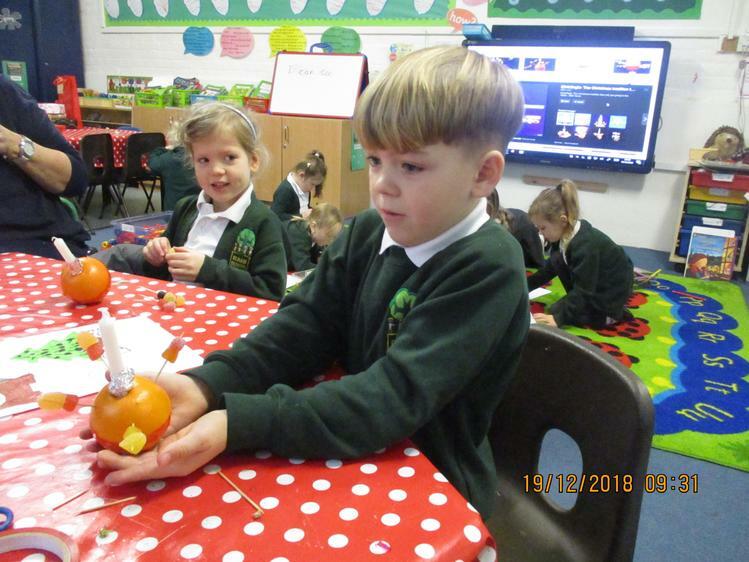 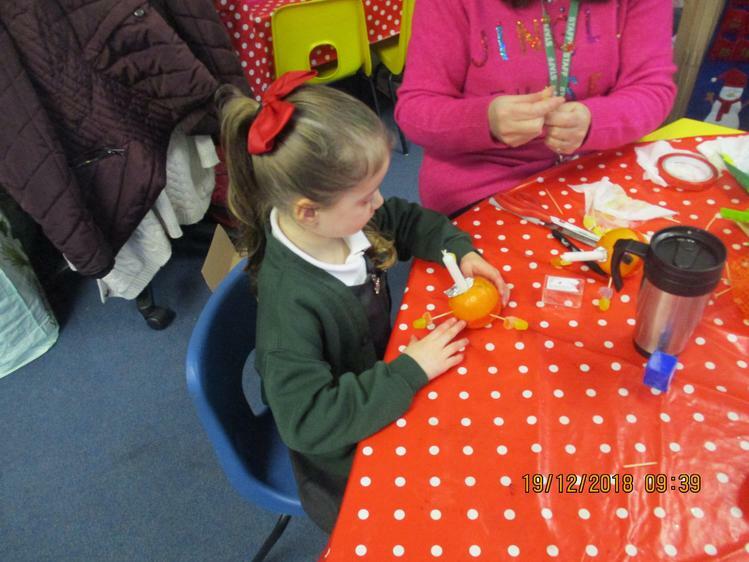 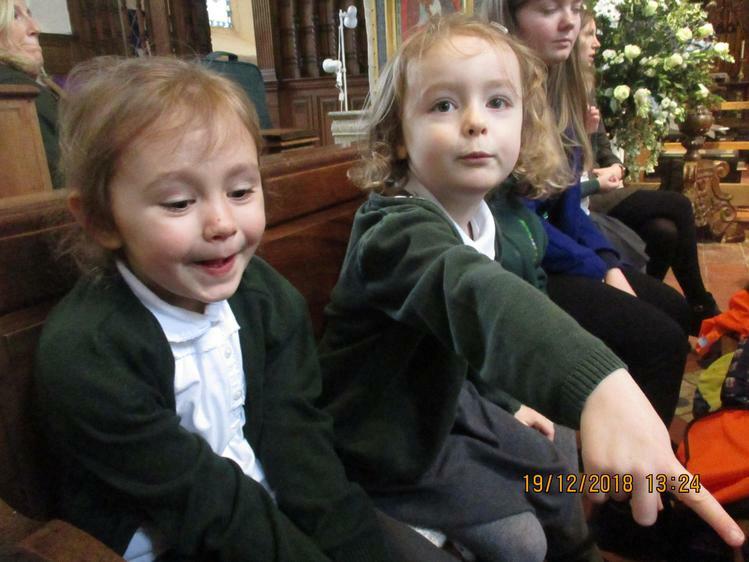 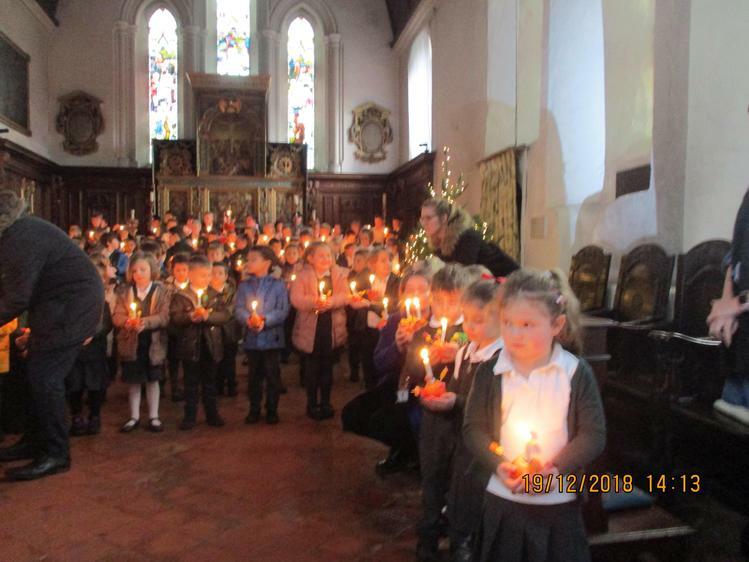 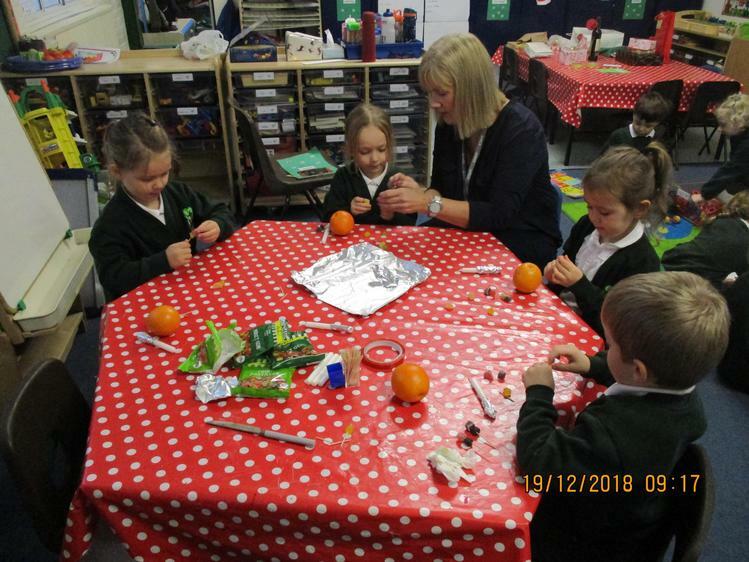 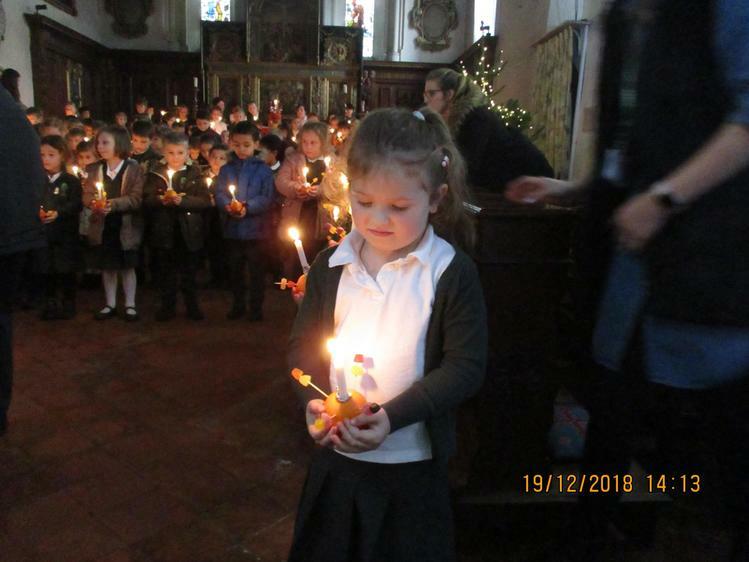 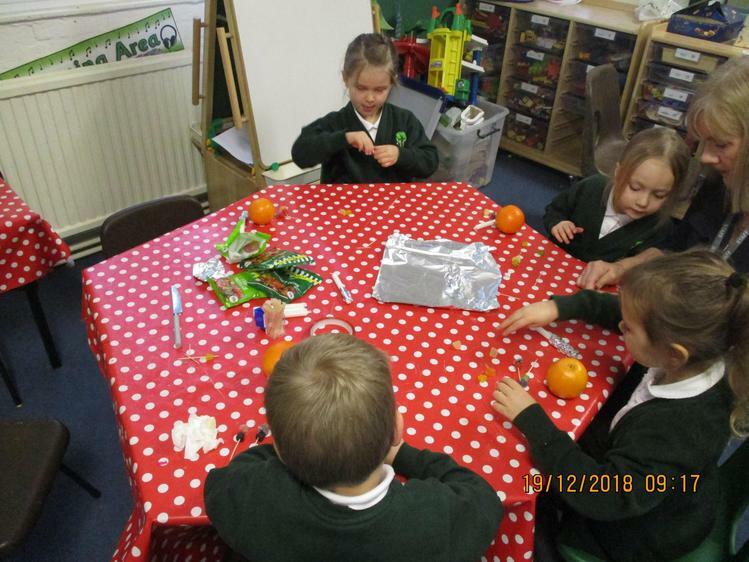 We had a super class party, learnt some new computer games, made our Christingles and even held them in the Church. 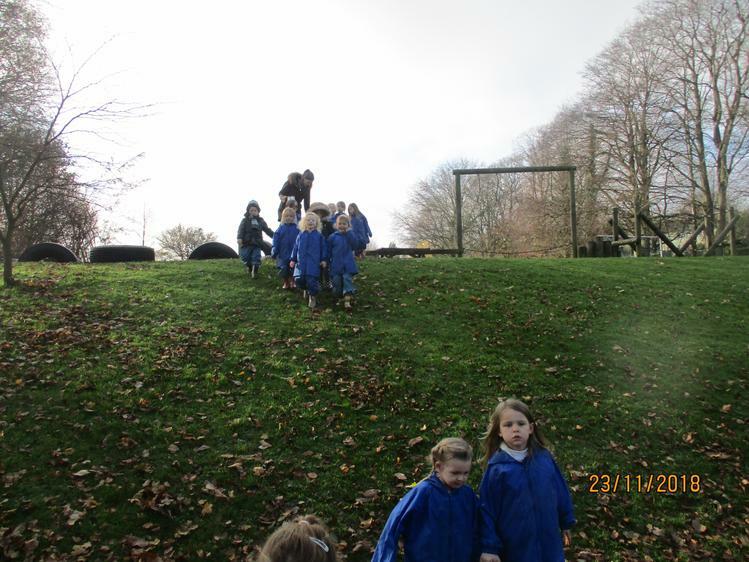 Well done everyone for being so careful.